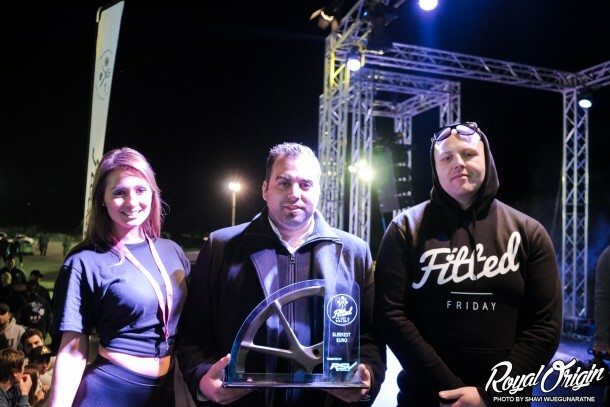 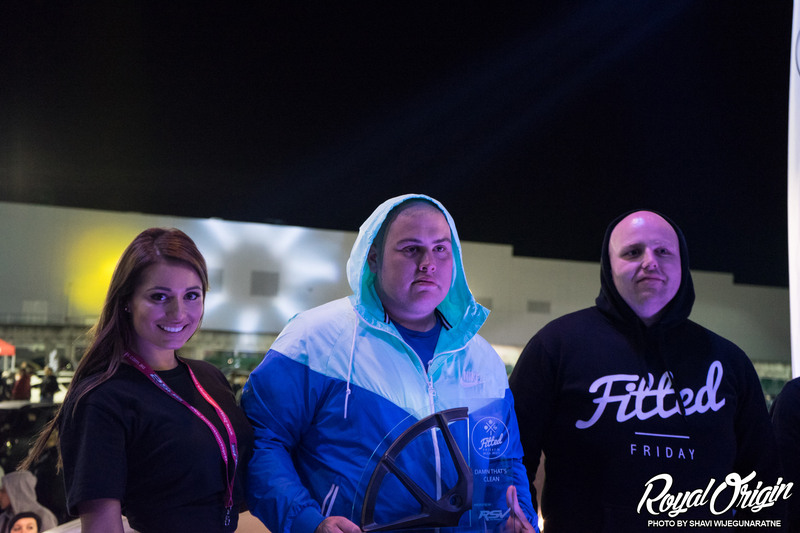 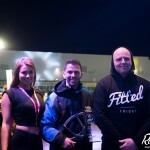 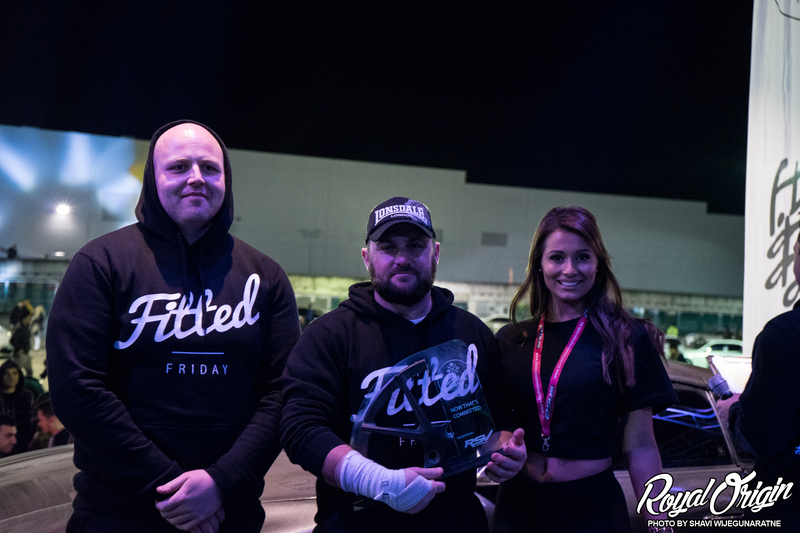 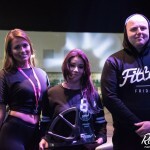 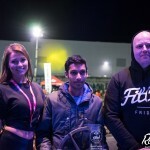 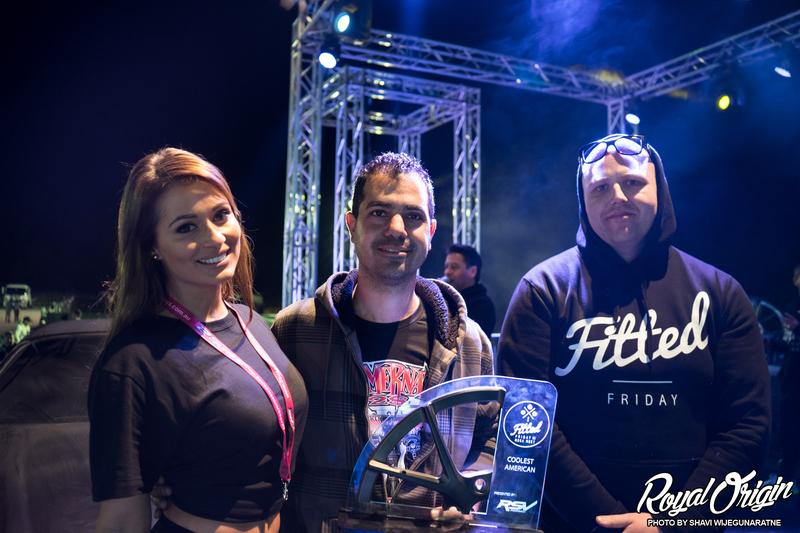 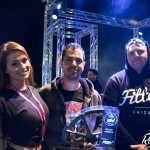 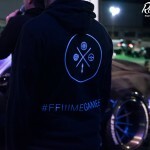 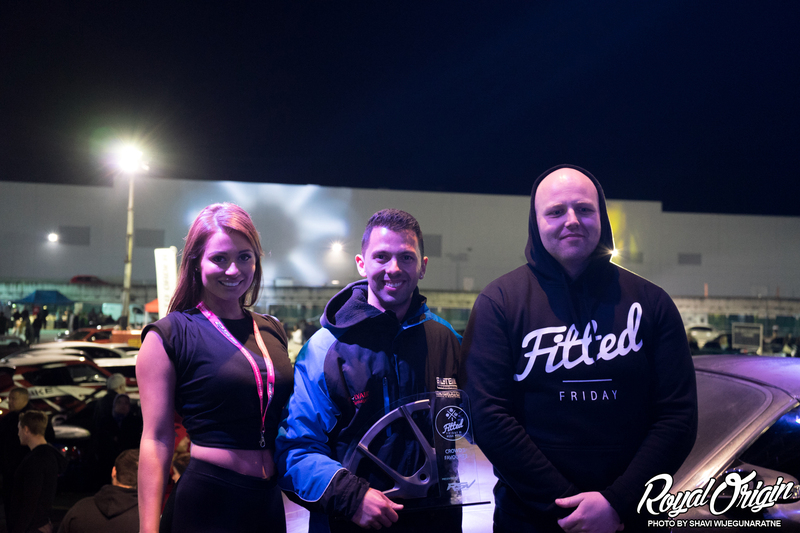 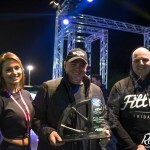 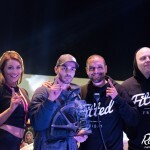 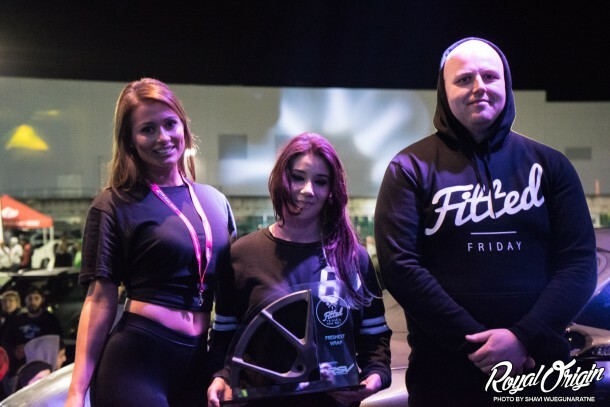 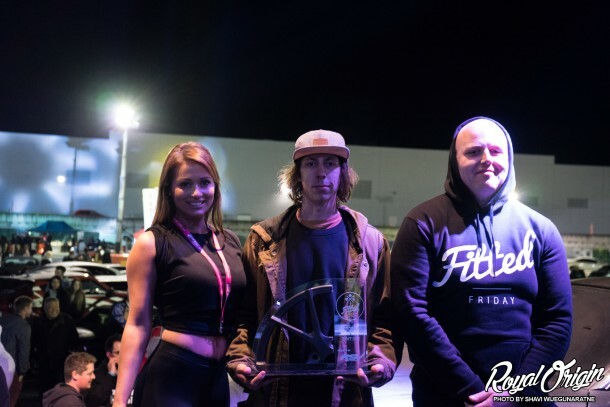 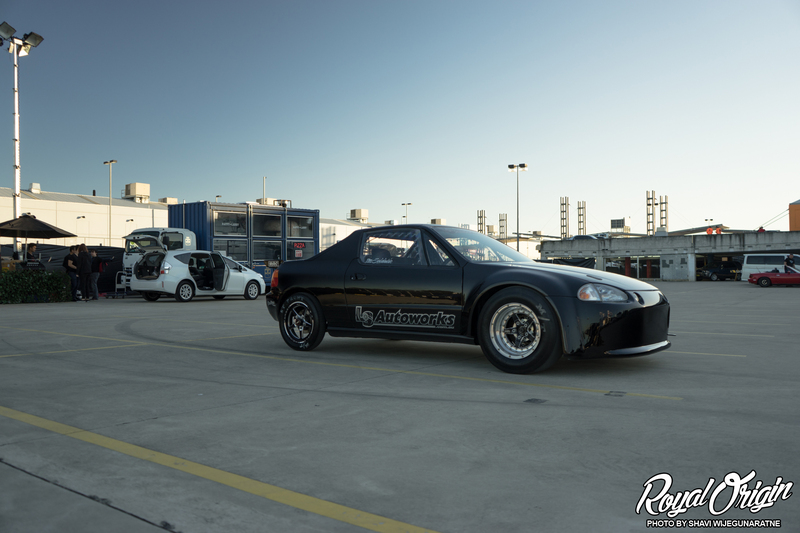 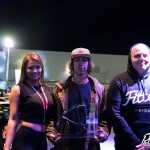 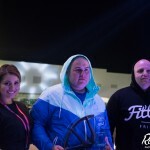 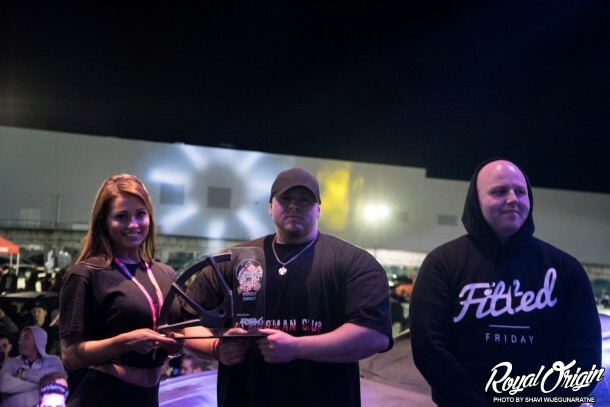 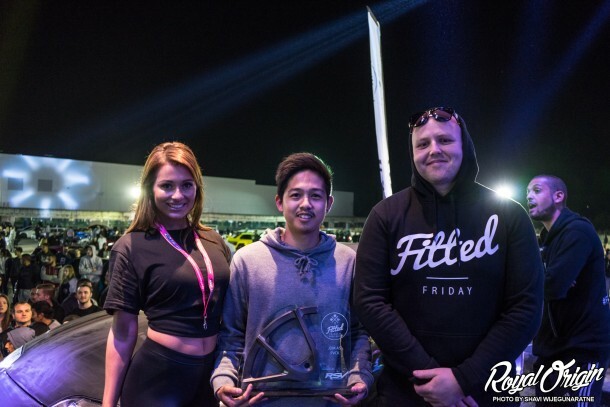 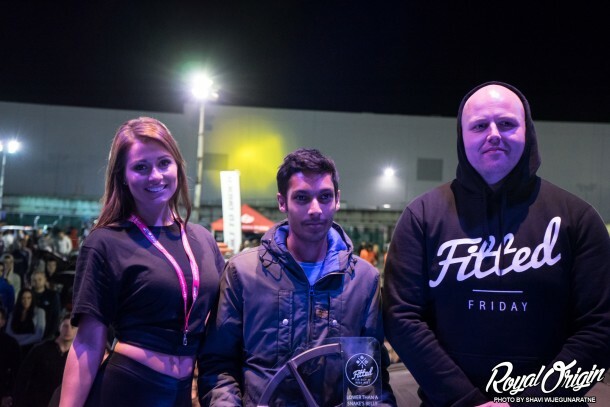 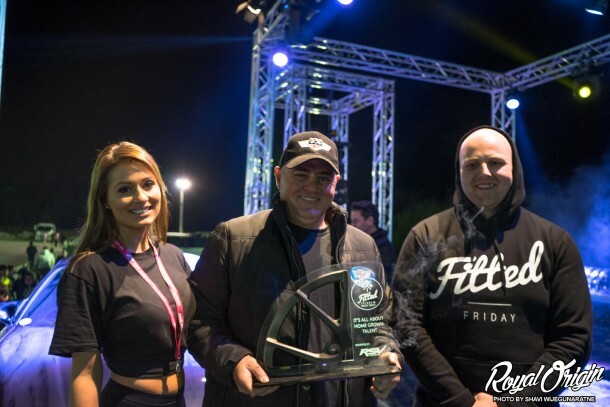 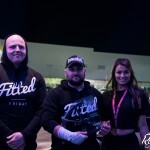 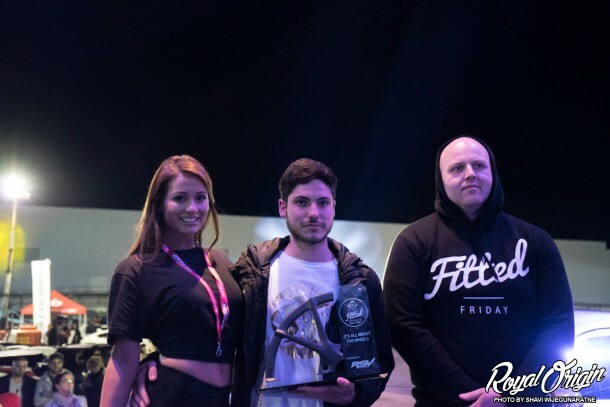 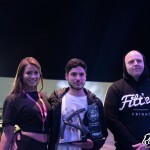 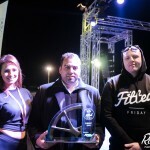 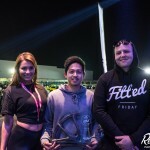 I recently had the opportunity, thanks to Tarik at Built To Order, to go to Sydney, Australia to transport custom made trophies from California, and take pictures for a car meet called, Fitted Friday III. 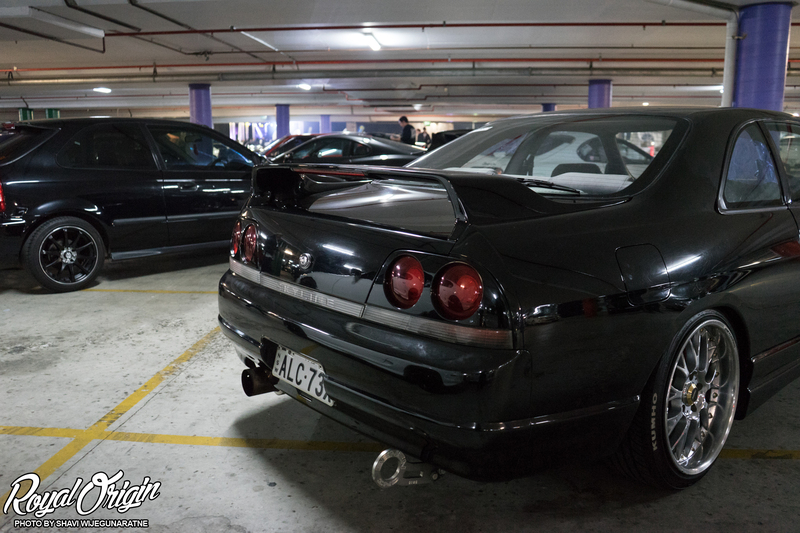 And thank you to Tarik, his family, and friends for showing me Australian car culture and for showing me around Sydney. 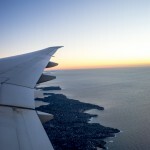 I started out my journey getting informed that I needed to go to Australia immediately, and the very next day. 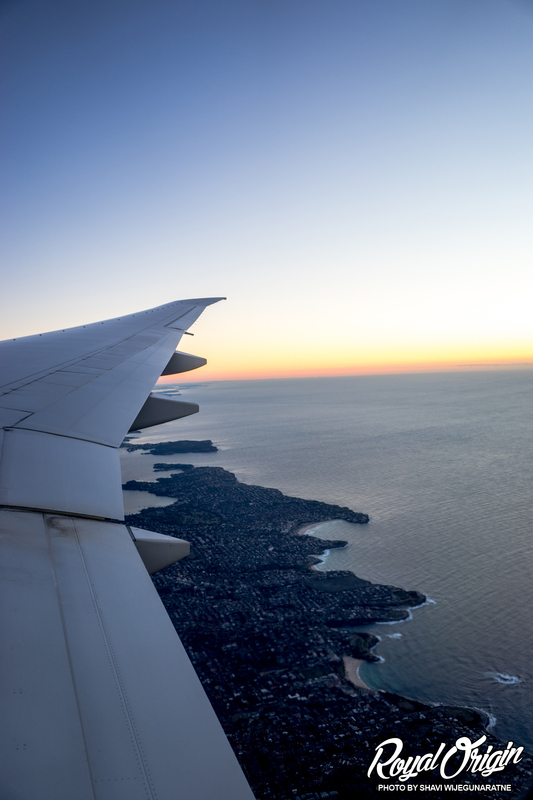 So, packed up my bags, and lost a day getting to Sydney. 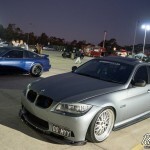 I always wanted to go to to Australia, just never thought it would be so soon, and so unprepared. 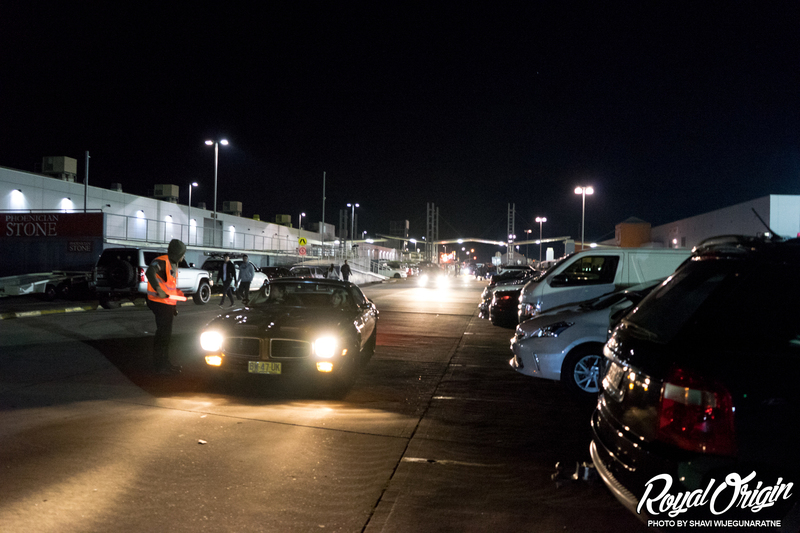 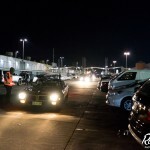 The moment I arrived into Sydney, it was already the day of the car meet. 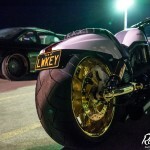 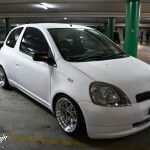 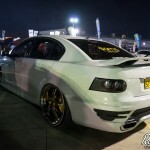 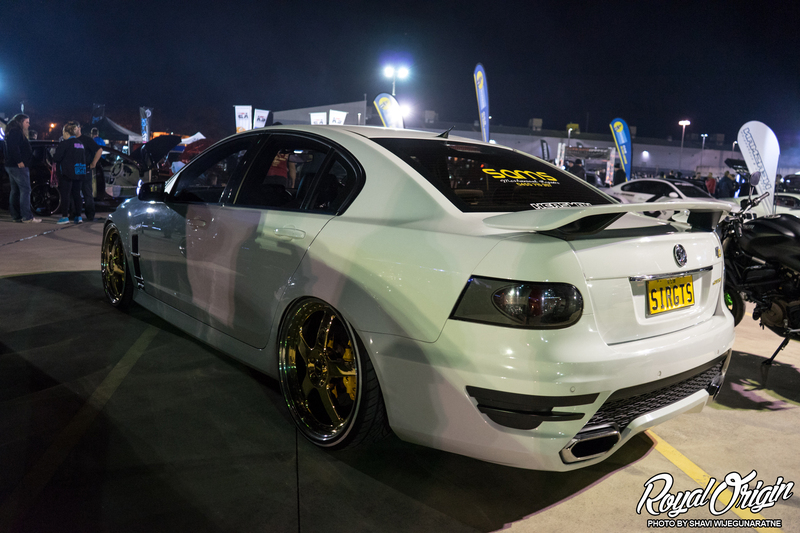 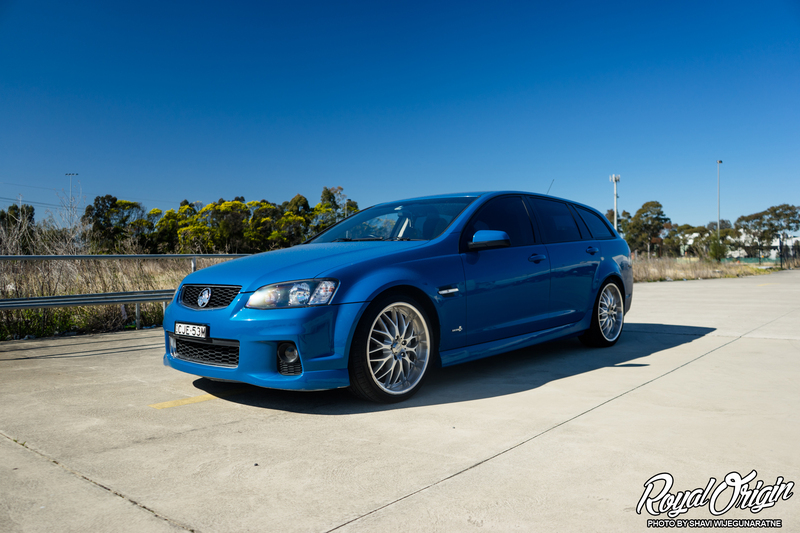 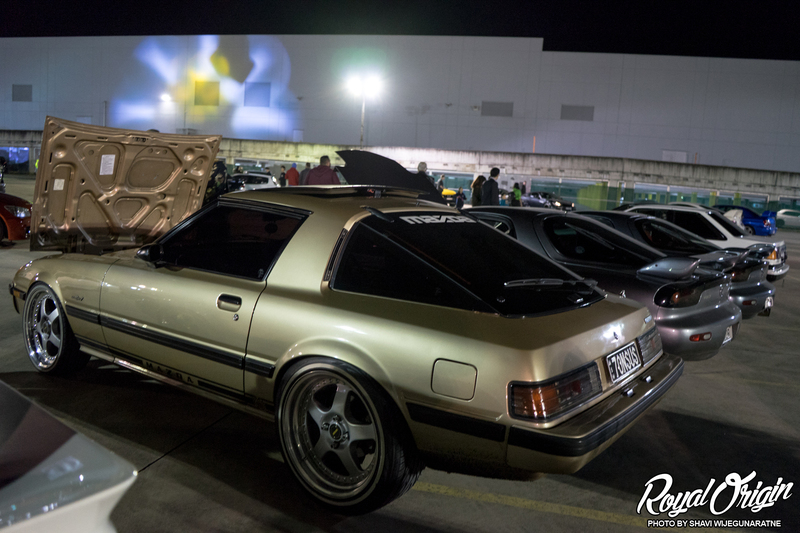 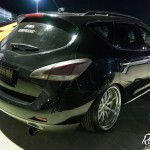 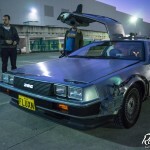 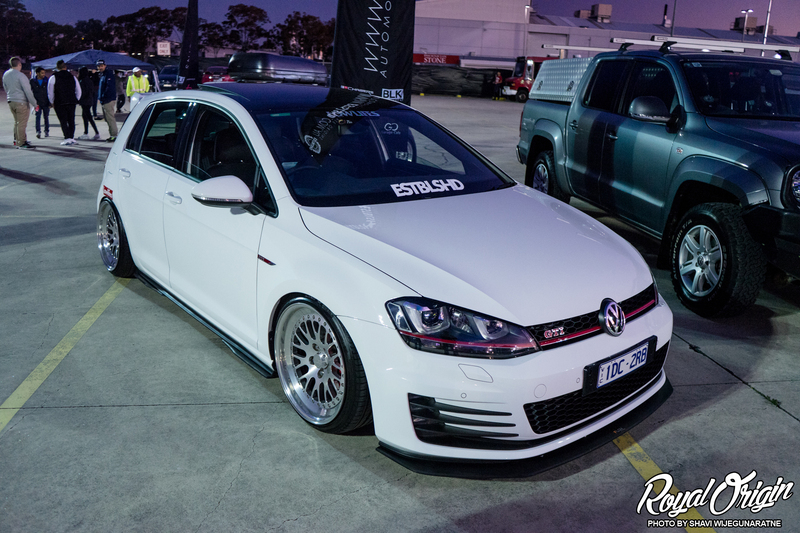 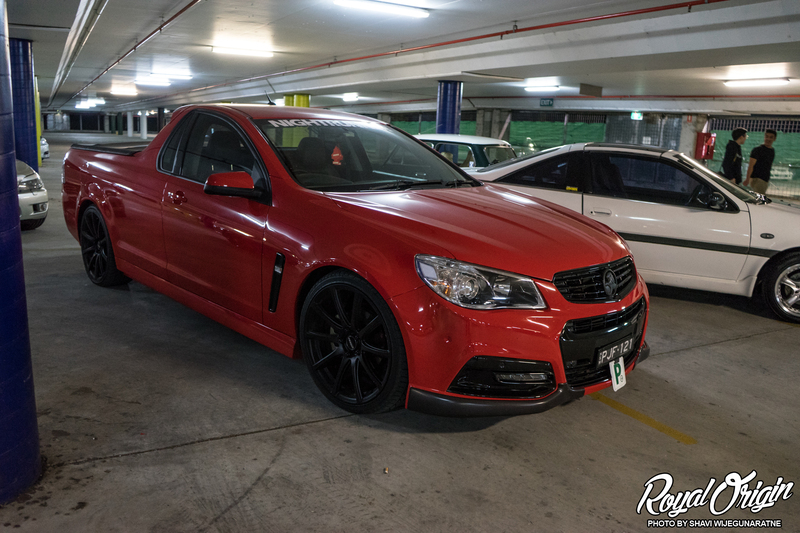 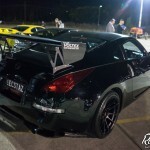 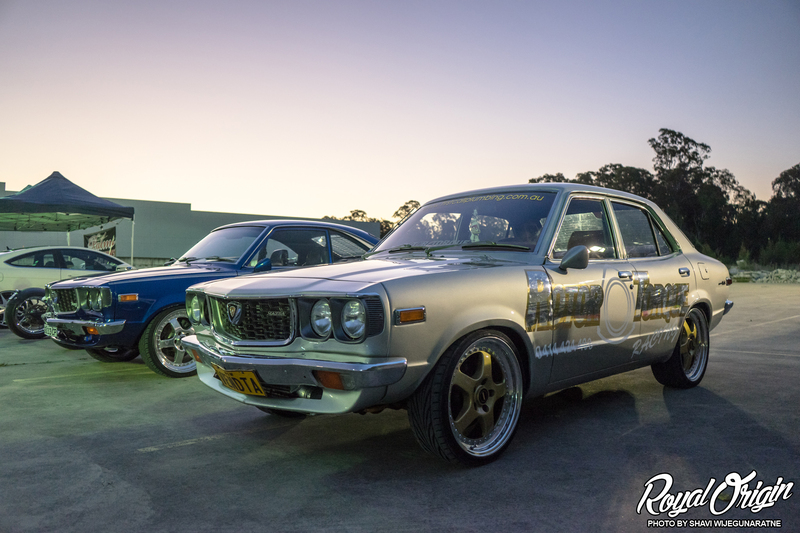 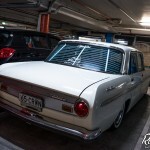 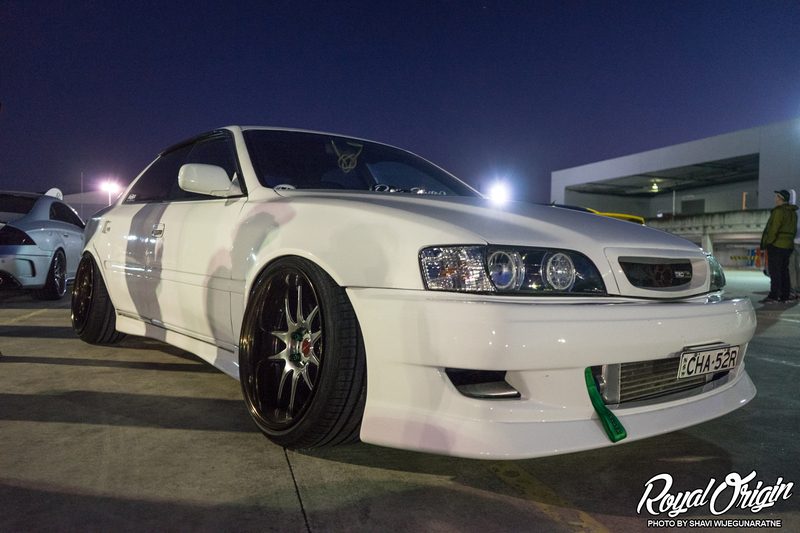 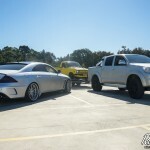 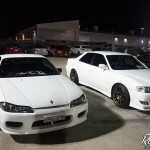 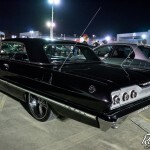 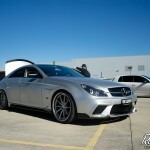 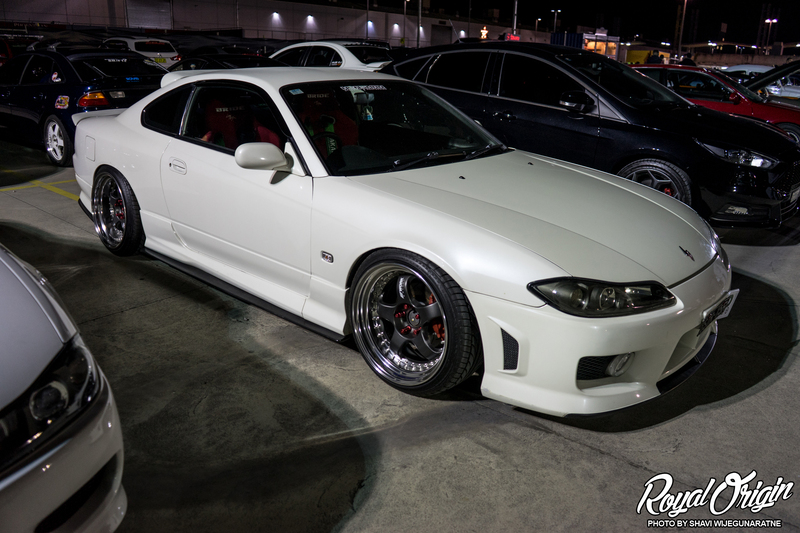 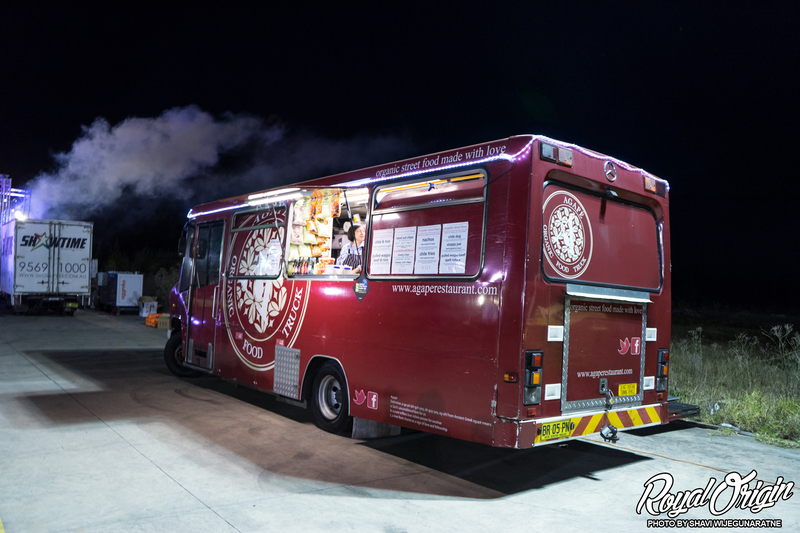 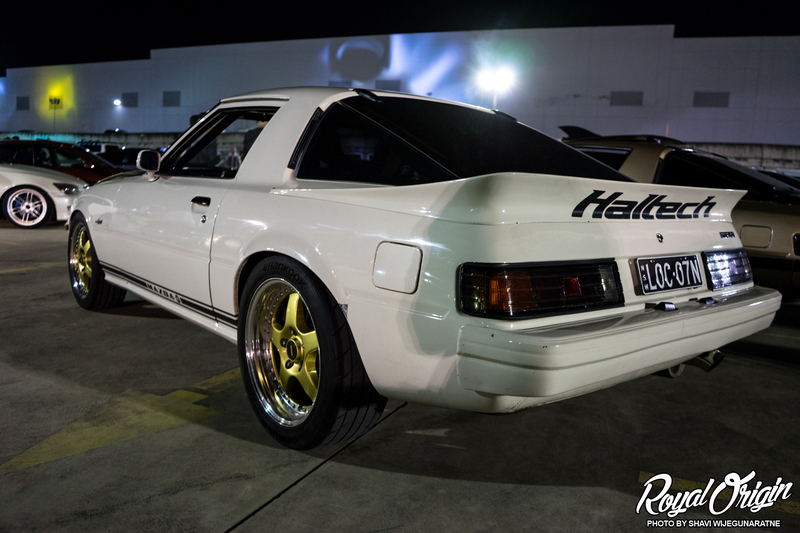 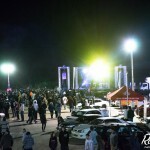 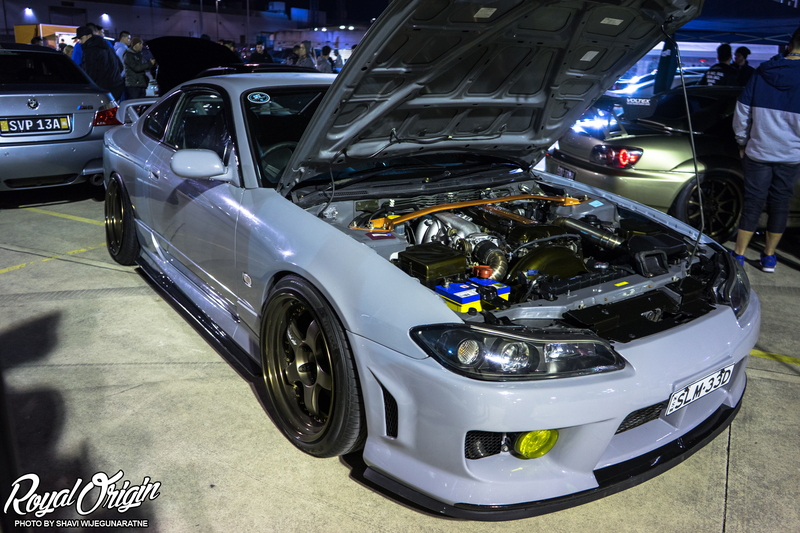 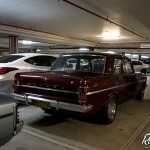 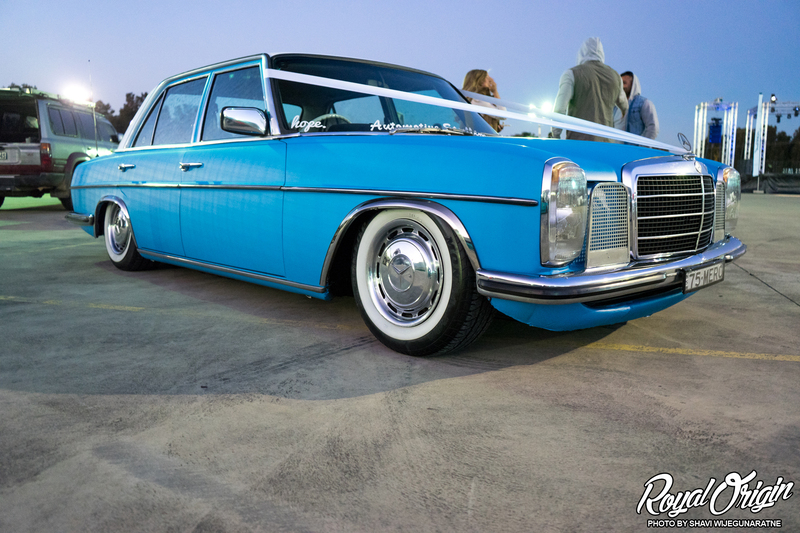 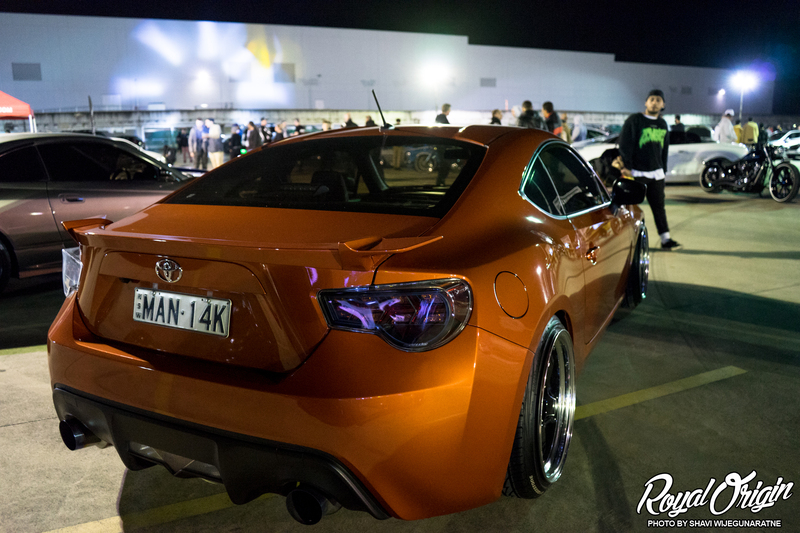 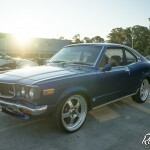 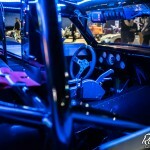 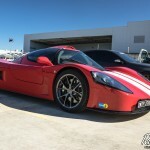 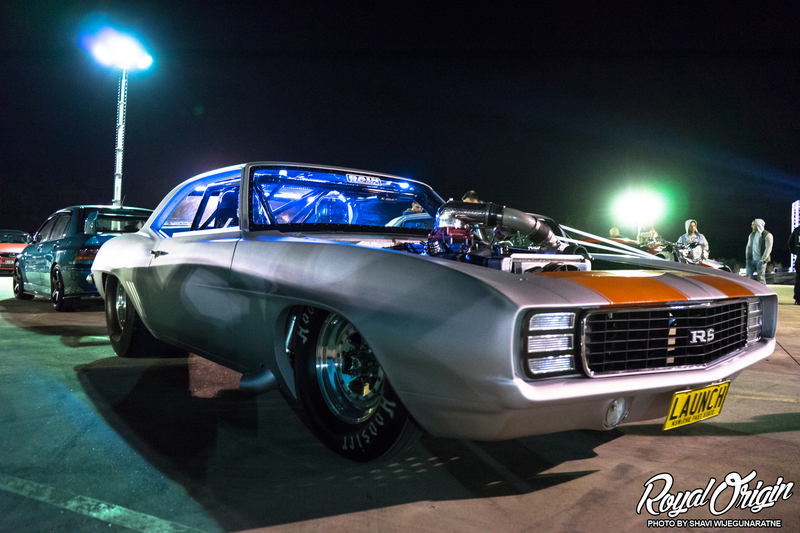 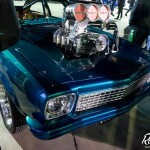 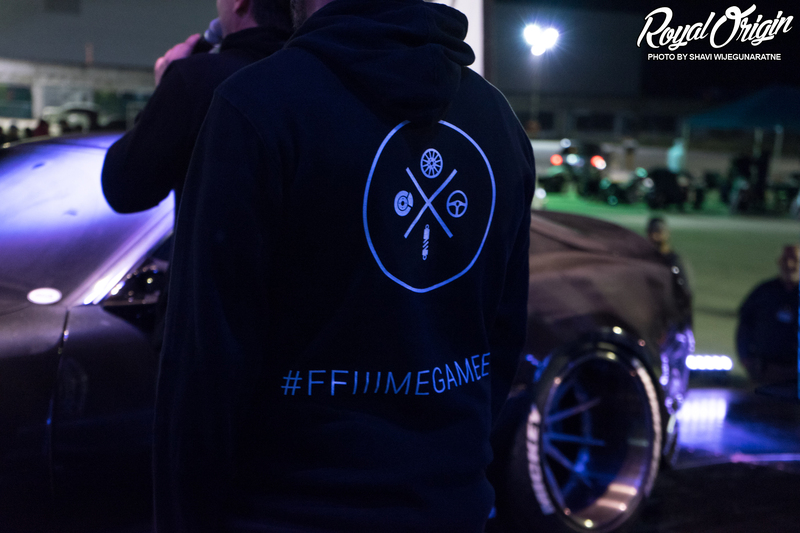 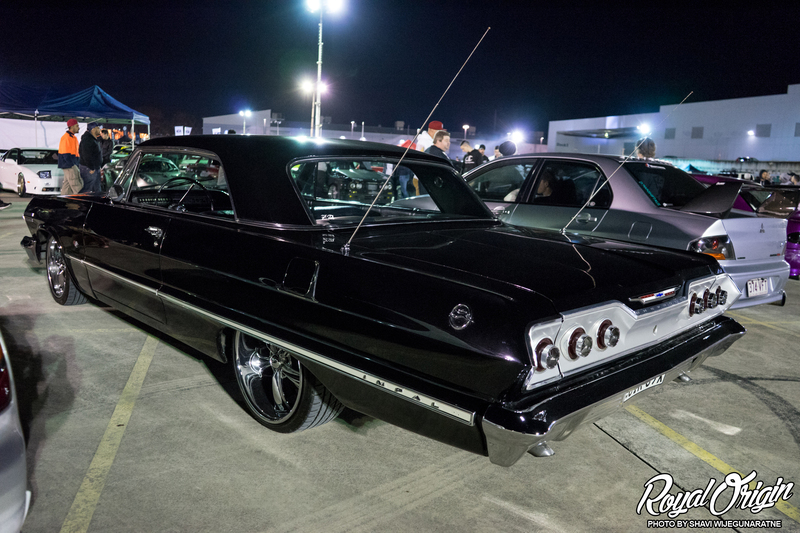 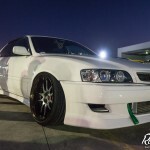 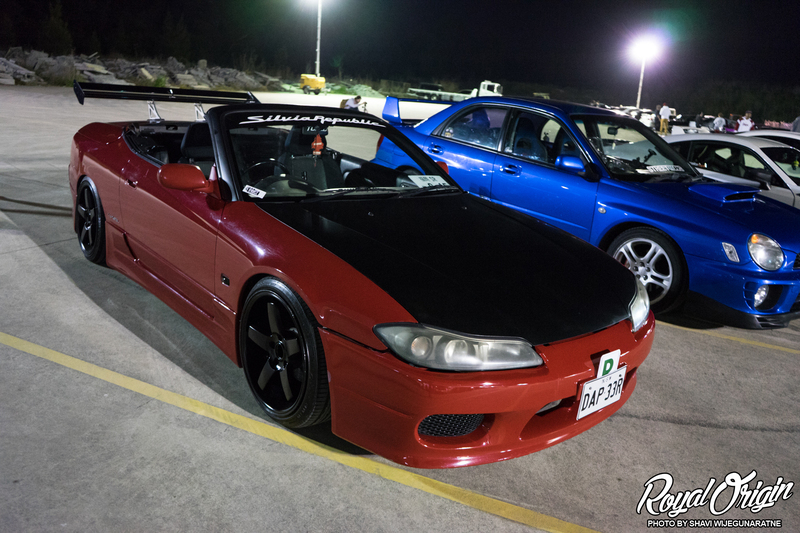 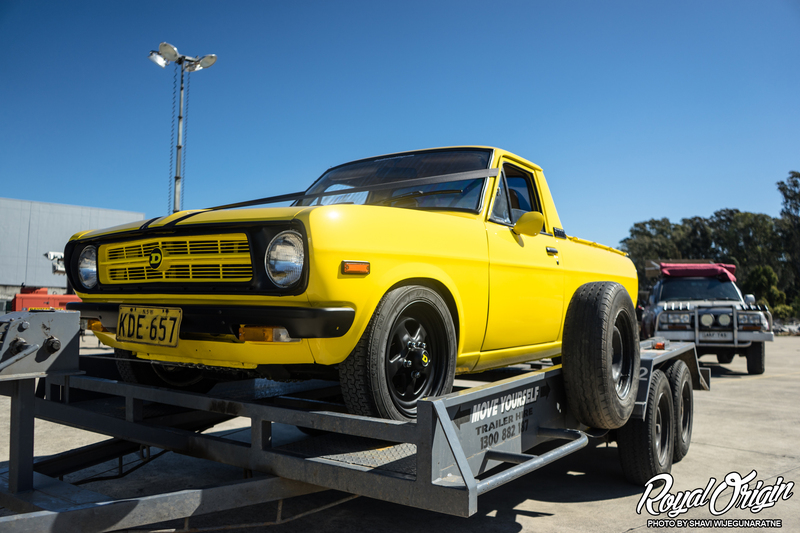 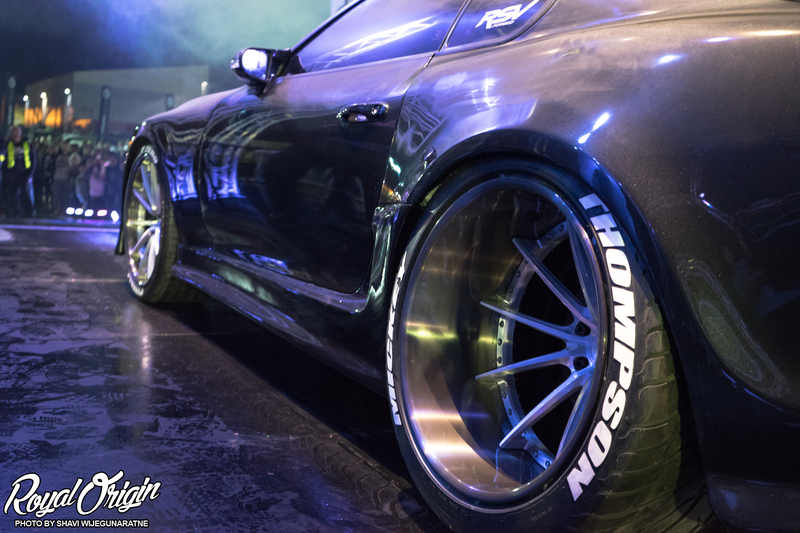 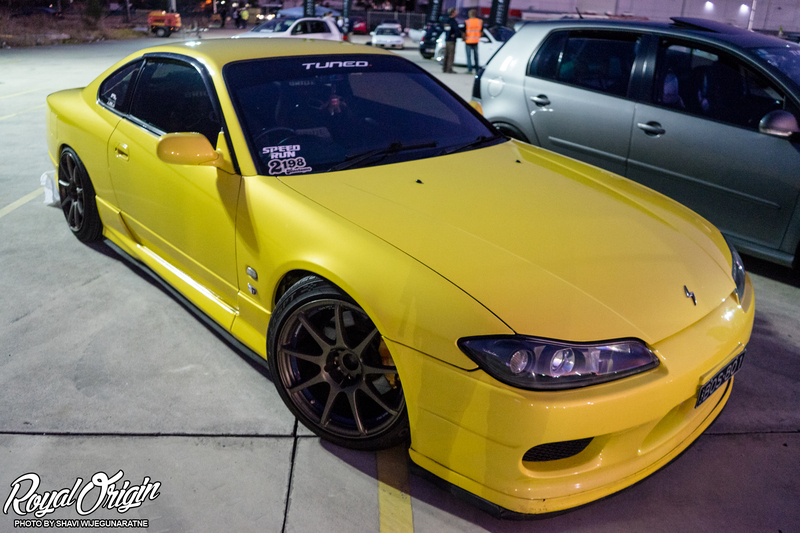 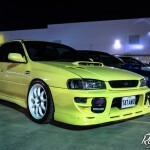 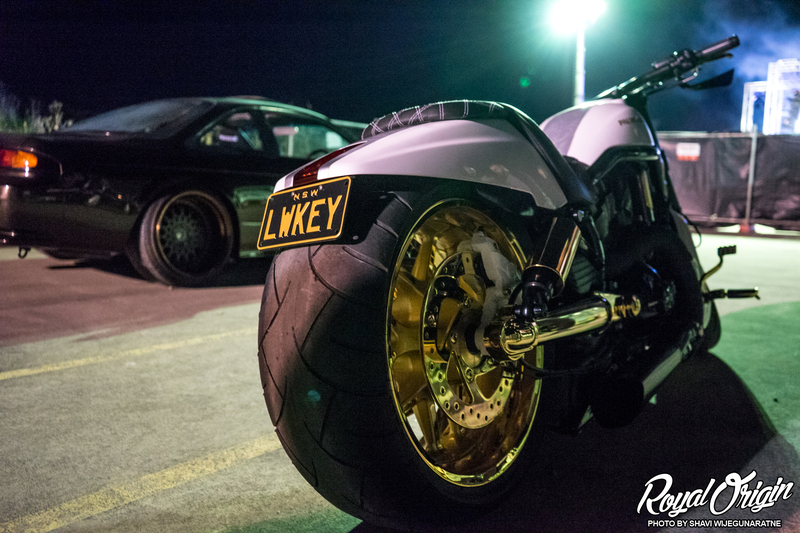 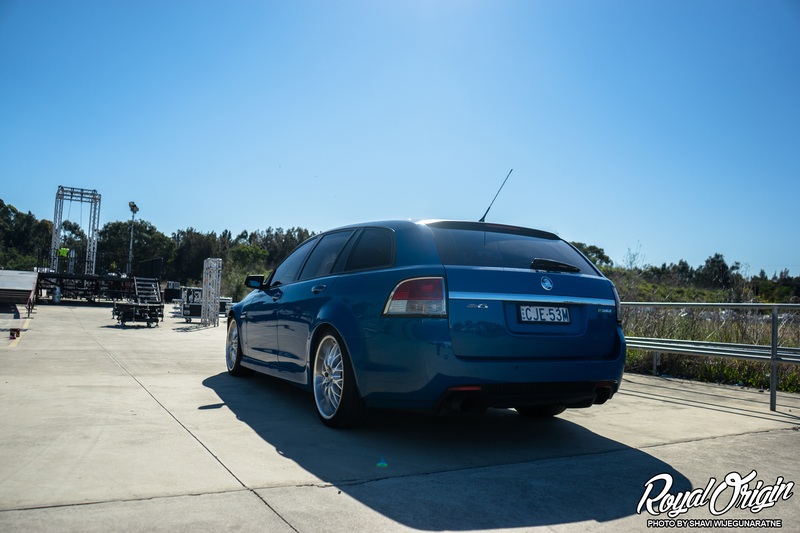 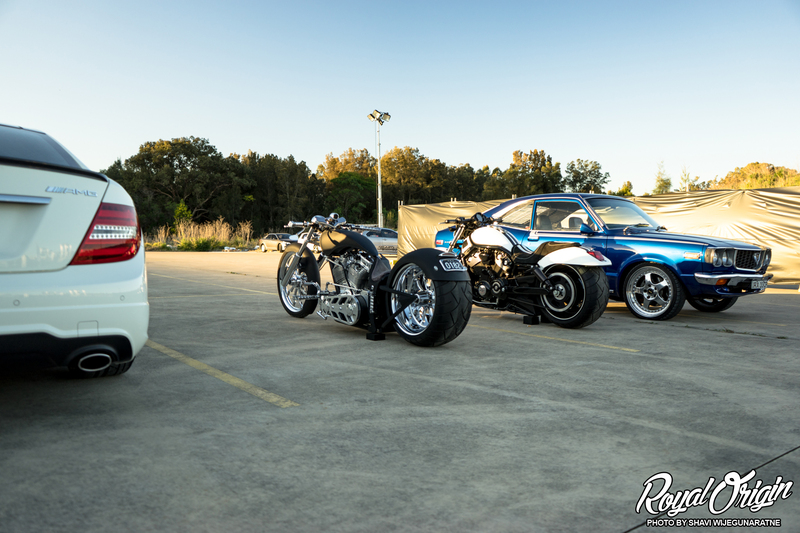 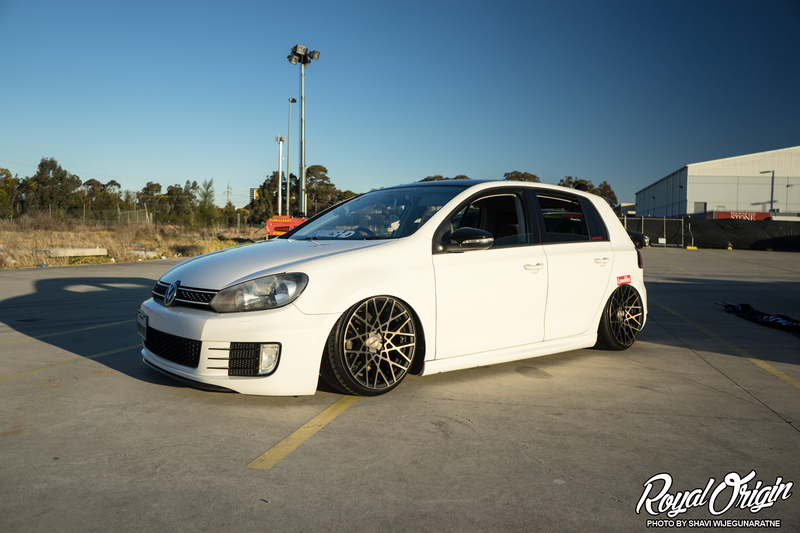 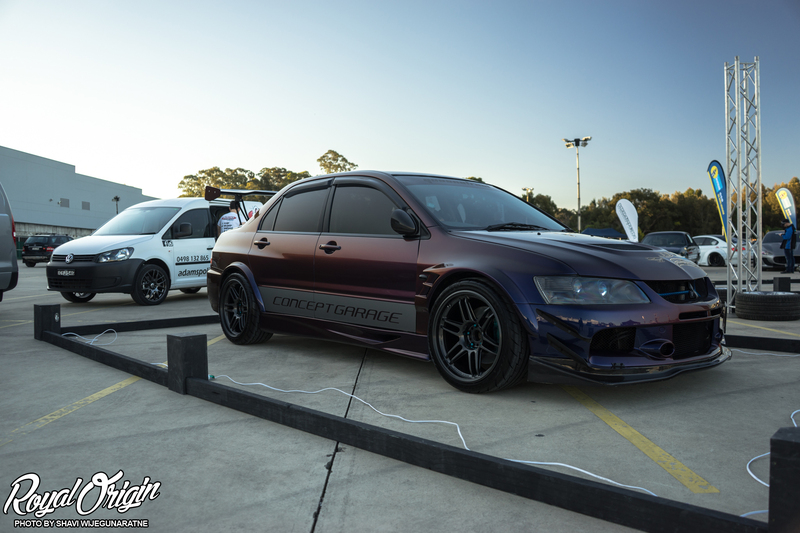 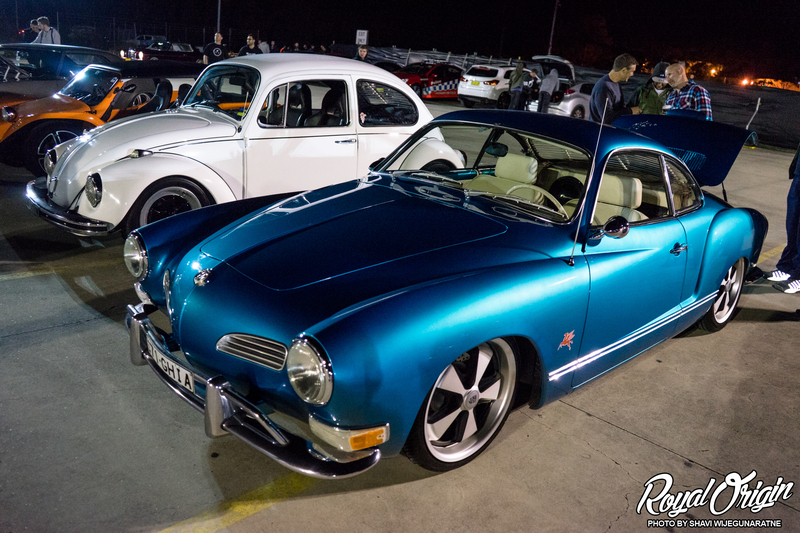 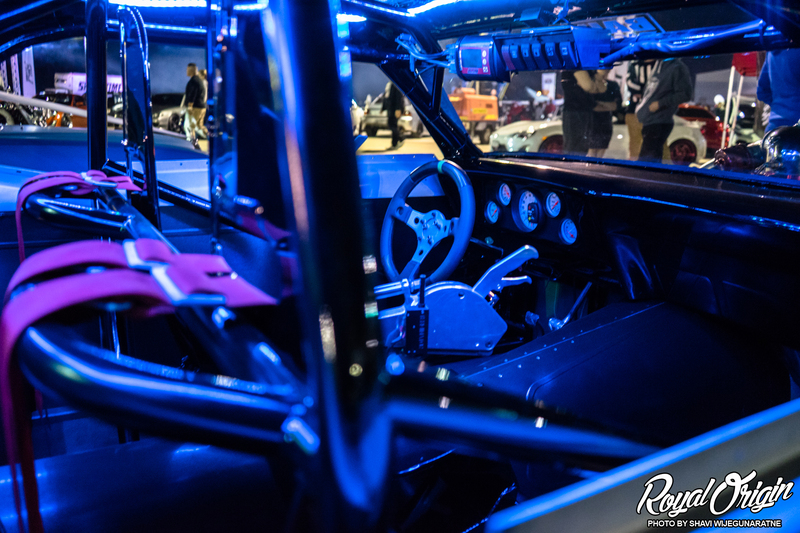 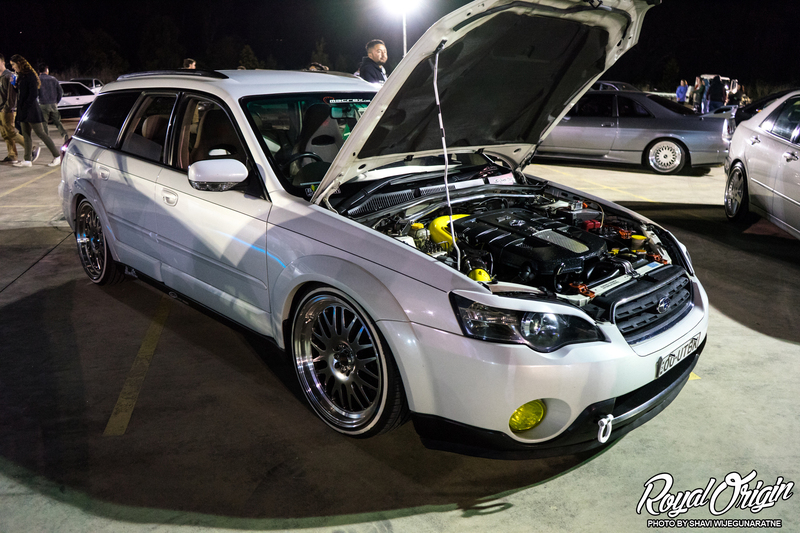 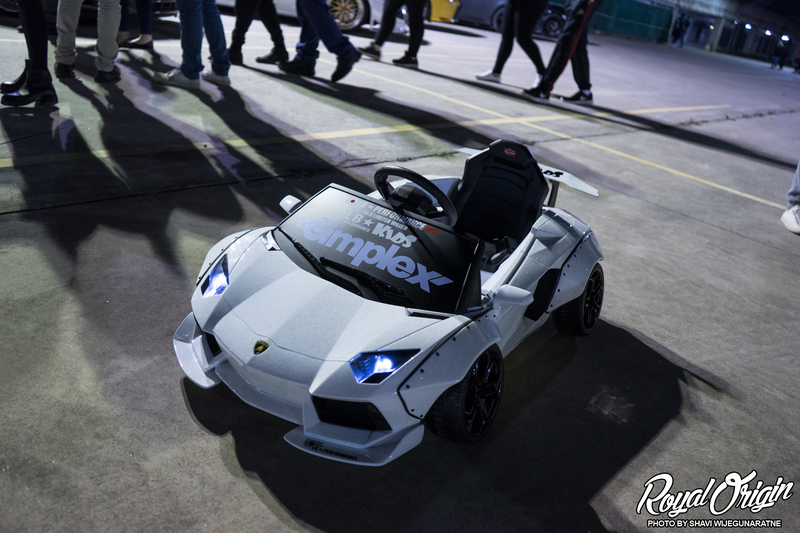 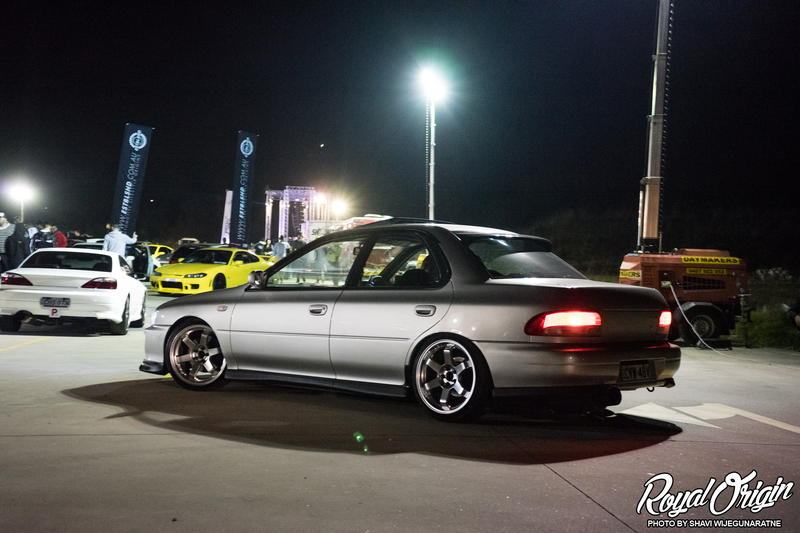 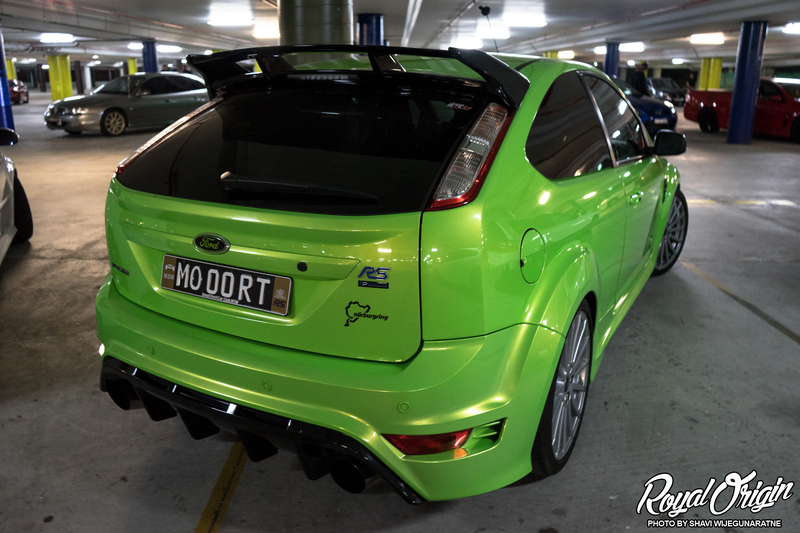 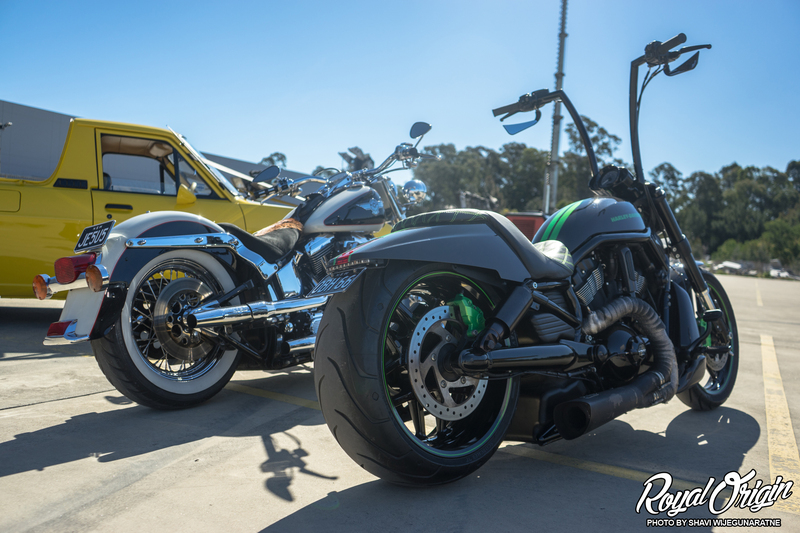 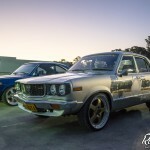 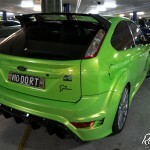 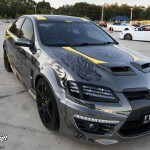 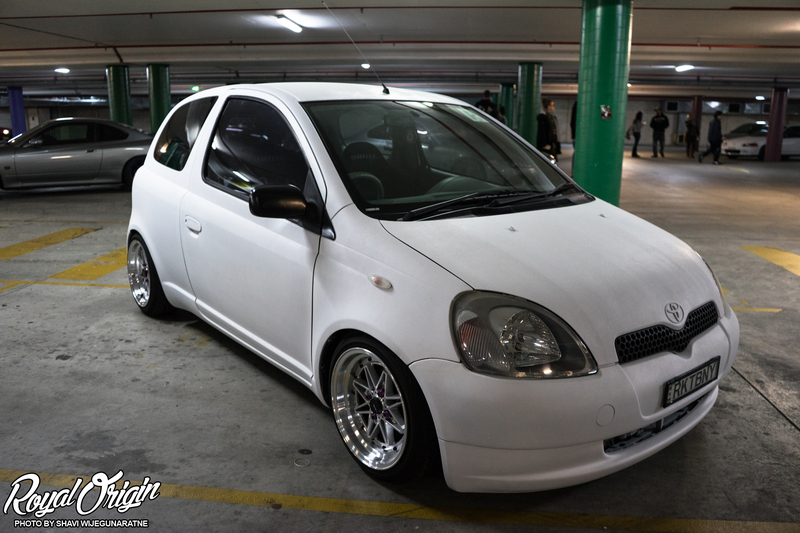 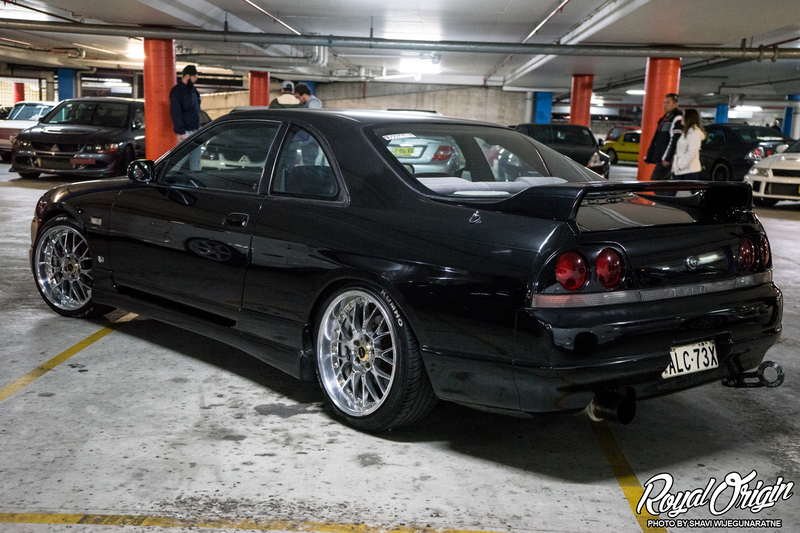 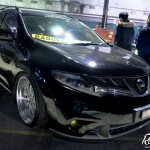 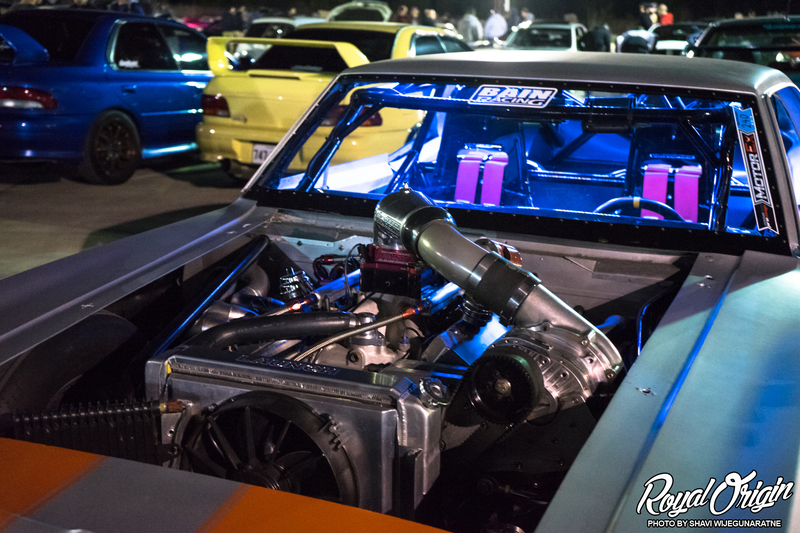 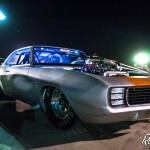 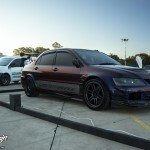 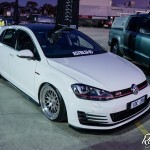 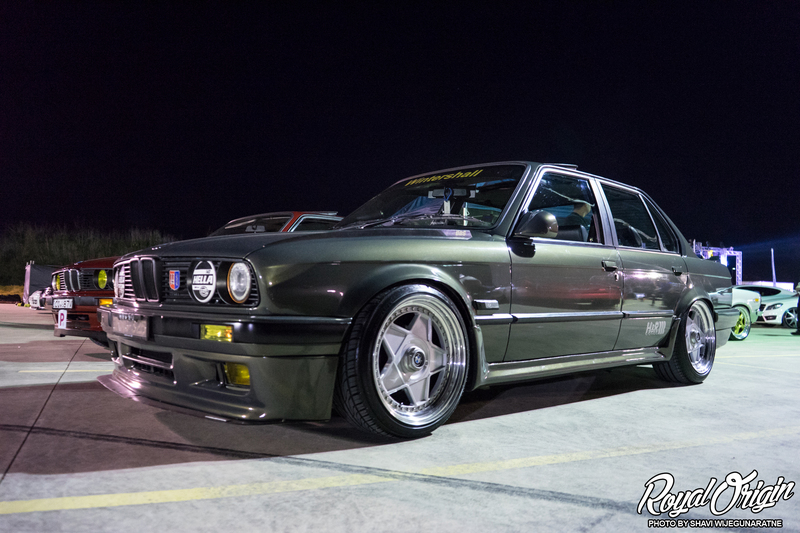 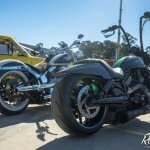 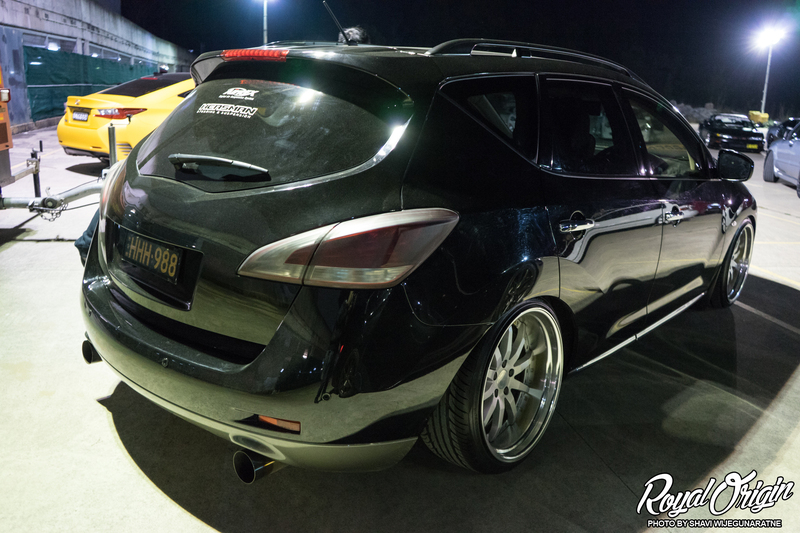 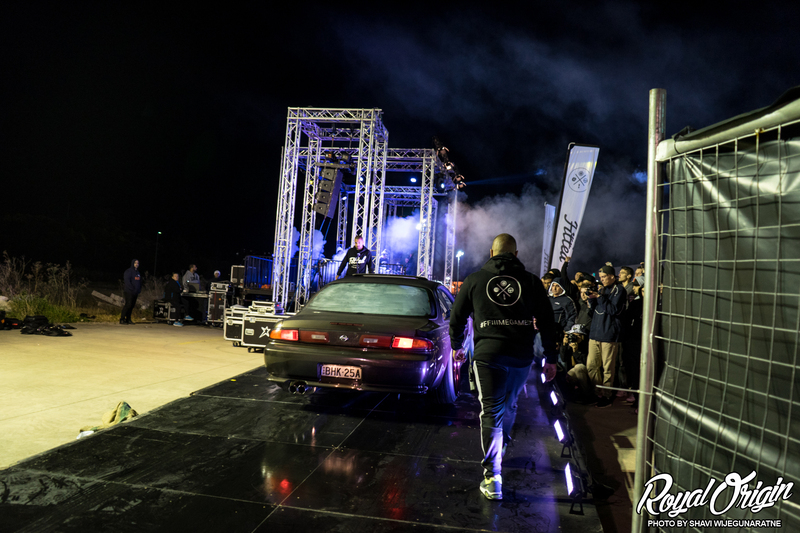 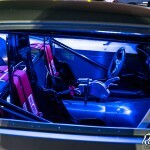 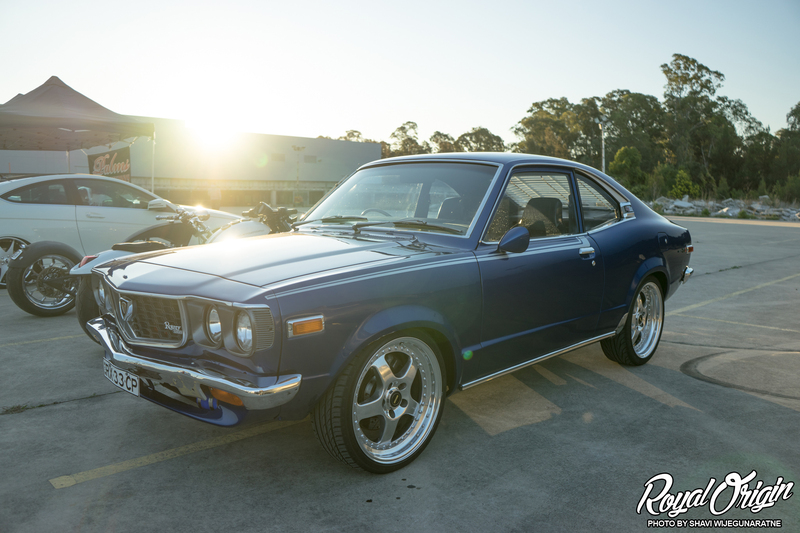 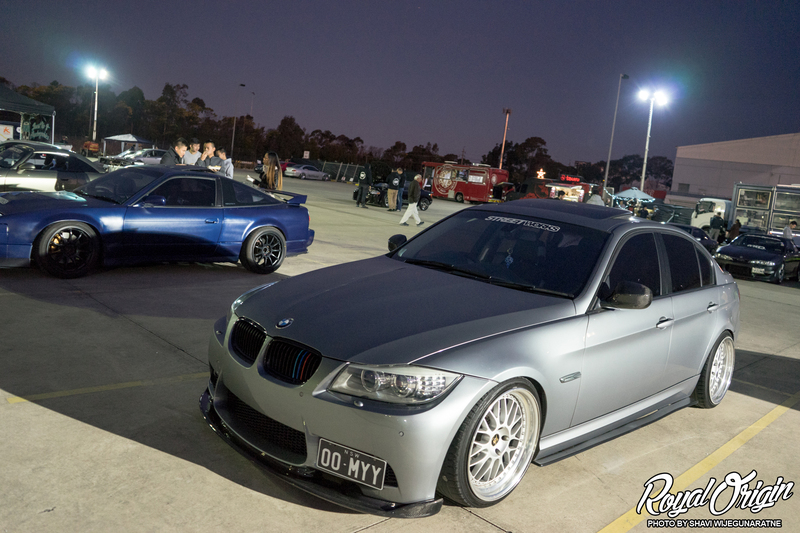 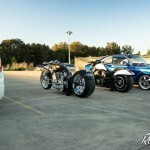 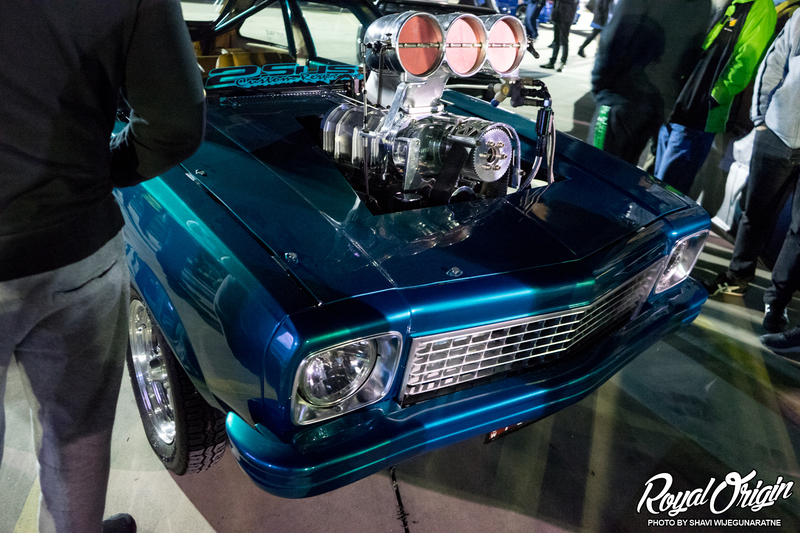 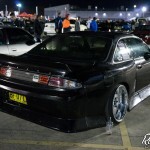 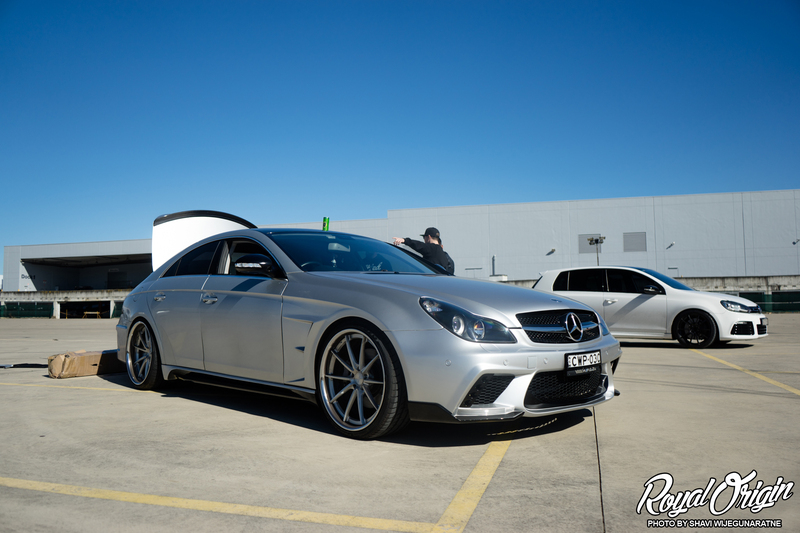 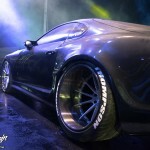 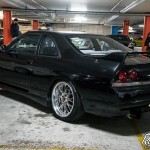 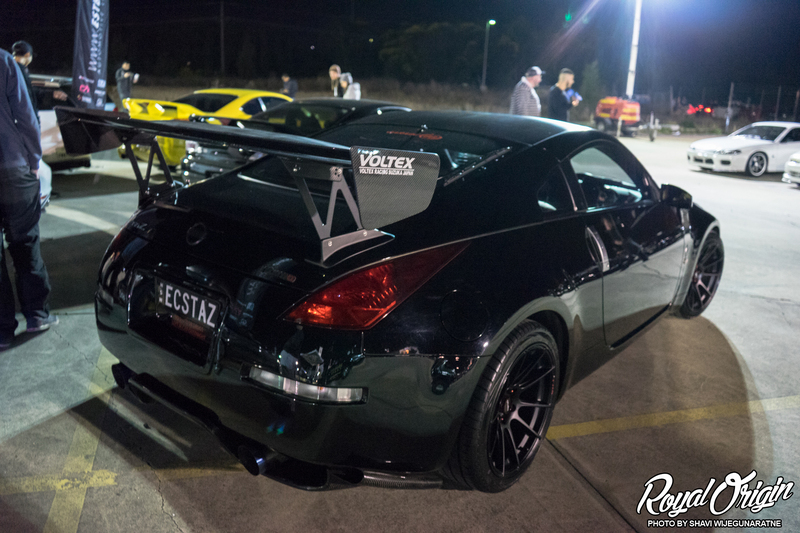 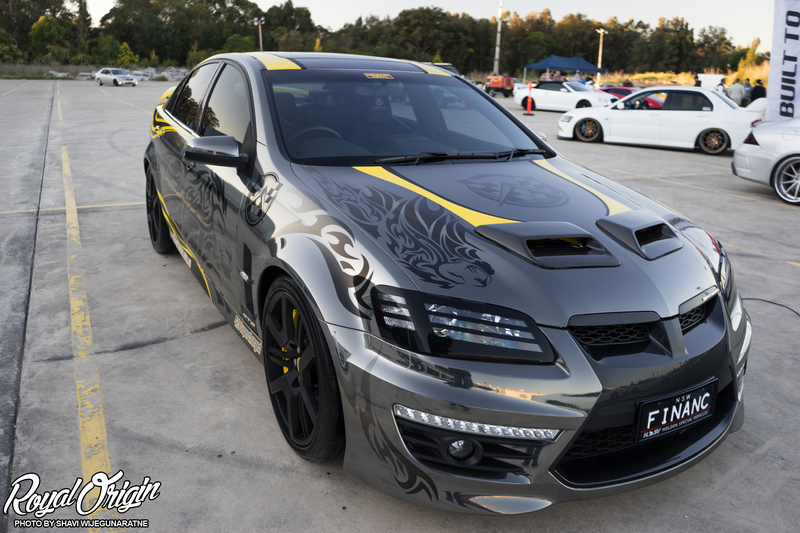 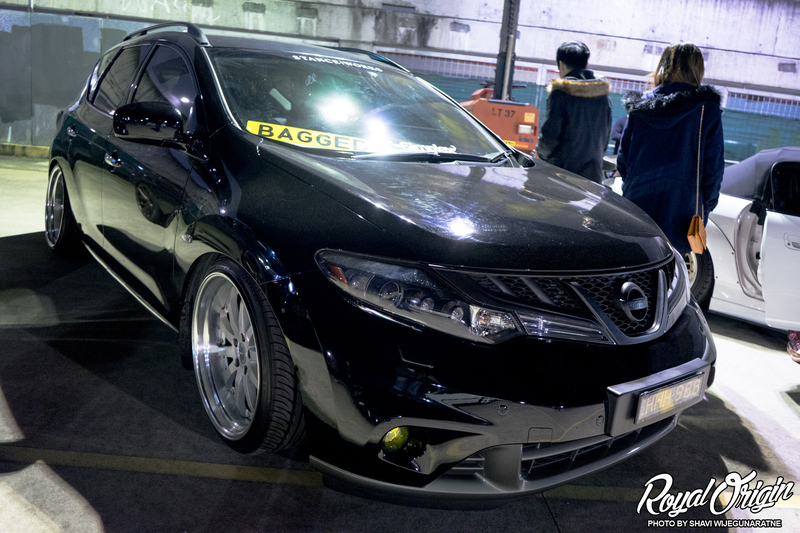 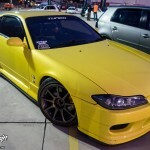 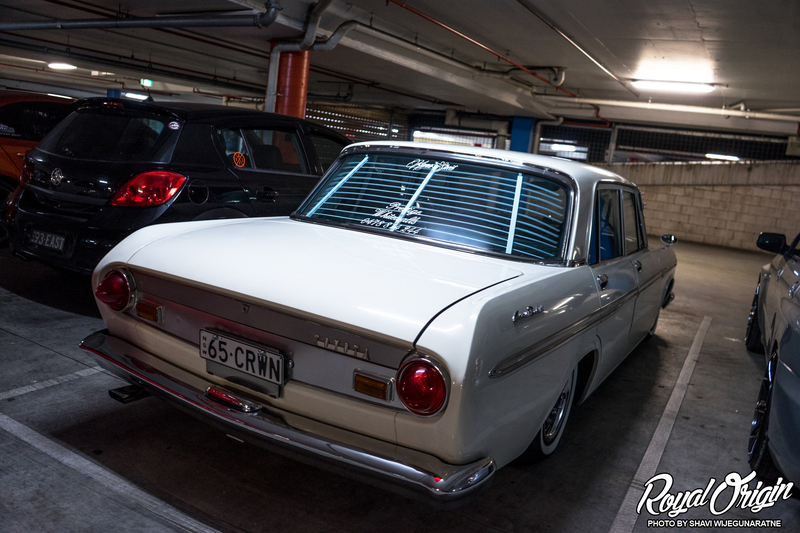 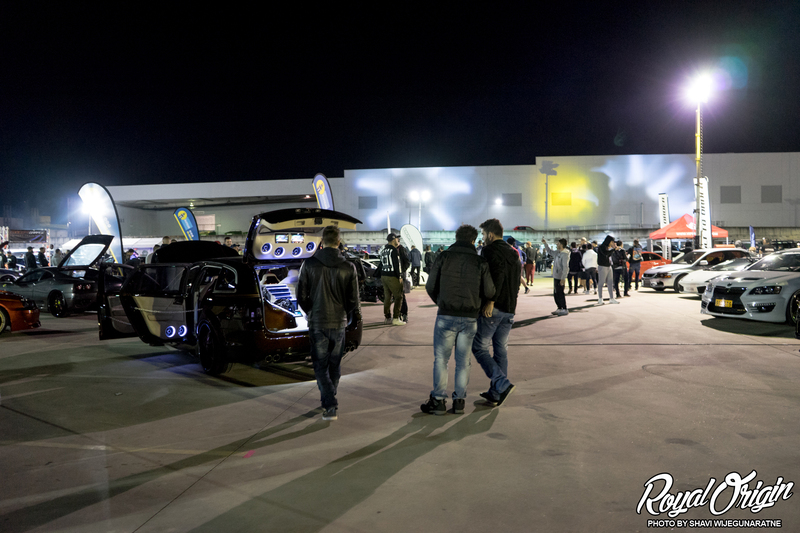 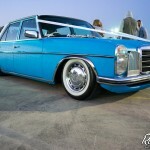 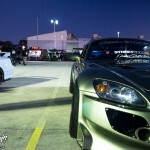 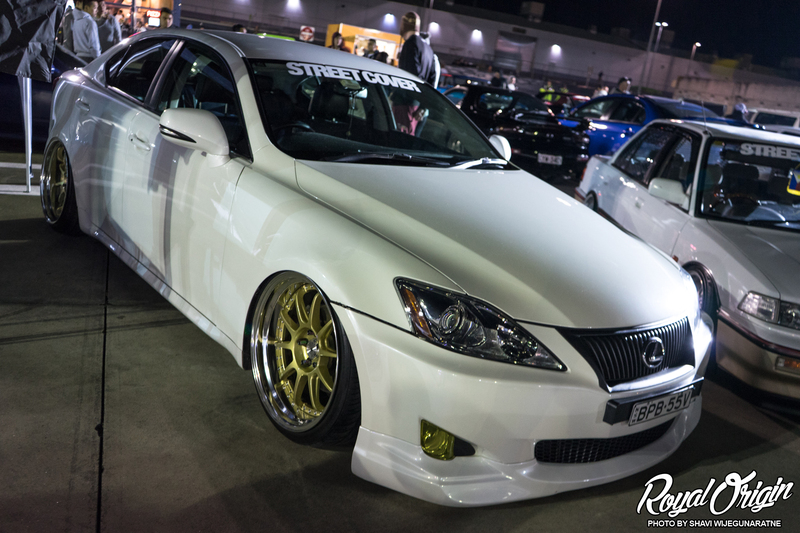 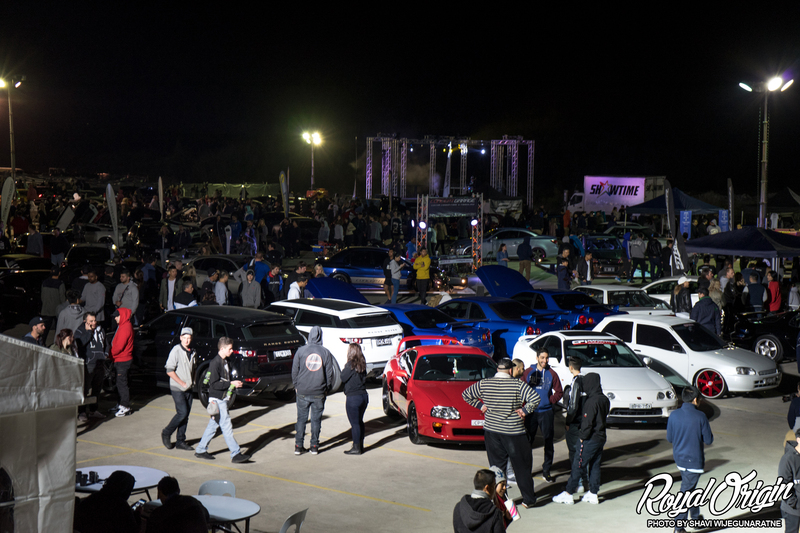 Fitted Friday III is a mega car meet held Friday night that shows a vast variety of Australian automotive culture. 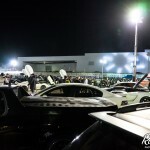 For someone who knows nearly nothing about the culture down here, this meet was filled with premium examples of what the current car culture is like. 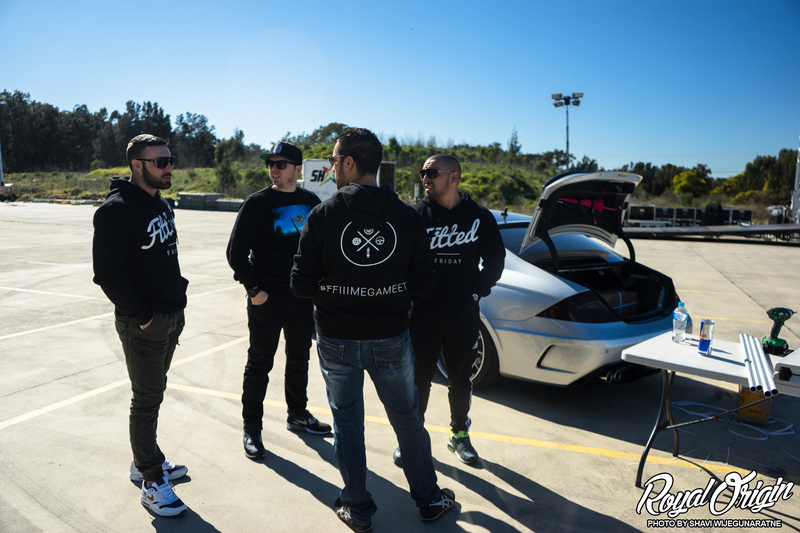 Behind the scenes before Fitted Friday III. 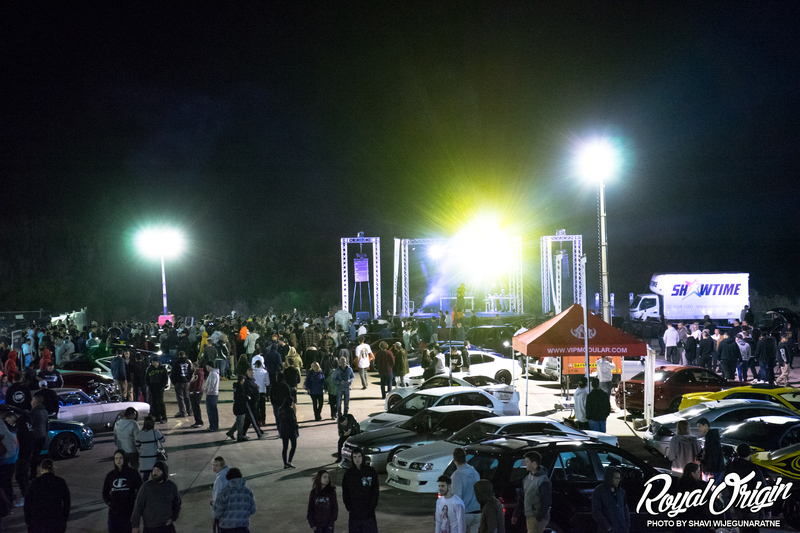 Official starts at 7:00PM, and ends around 11:00PM. 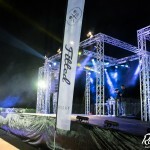 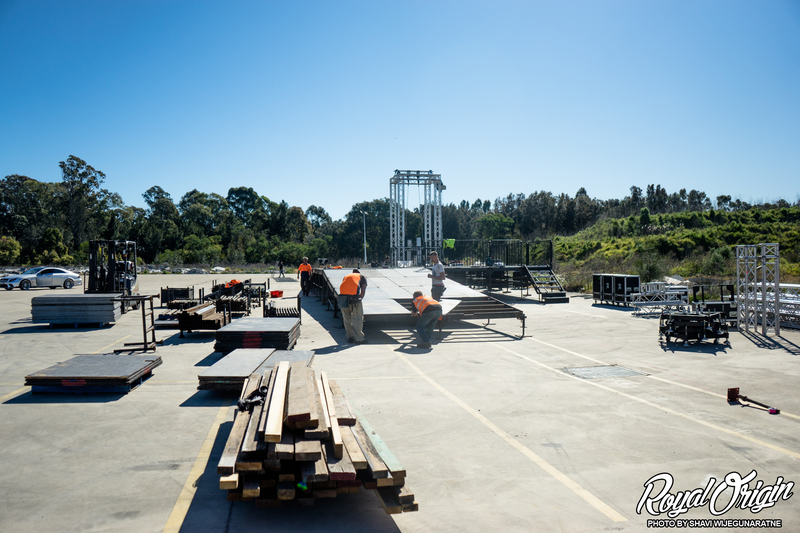 The car display and DJ stage being constructed. 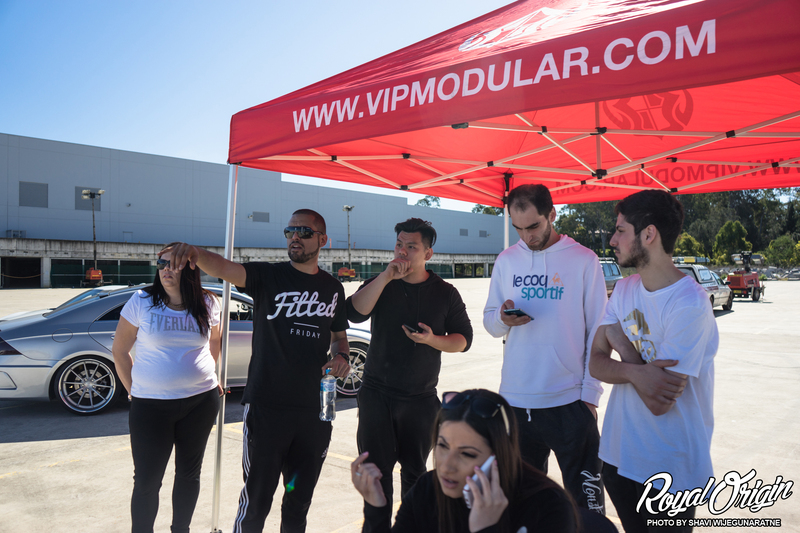 Fitted Friday staff discussing their plans to be executed. 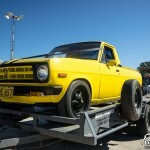 Things I don’t see in the US. 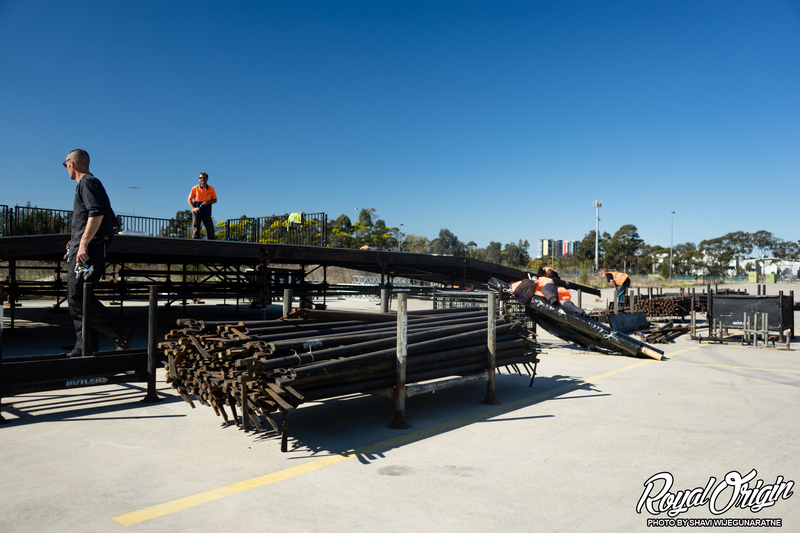 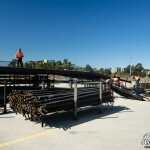 The ramps for the stage, which will be used to move the unveiling cars off and onto the stage. 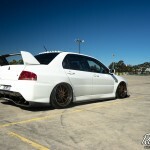 Jacob’s Evo VIII bagged with AirRex, and on RSV Forged RS10 D. A lot more photos of this another day. 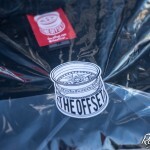 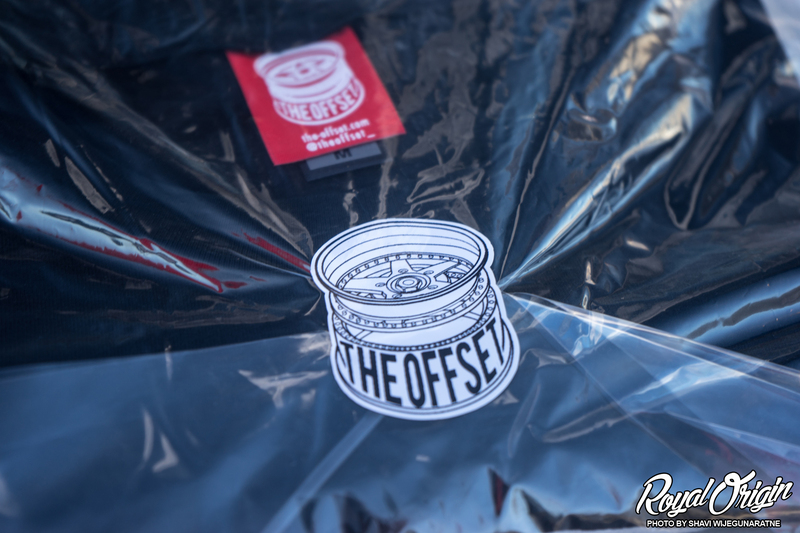 The Offset was in town from Melbourne, helping out with Fitted Friday III. 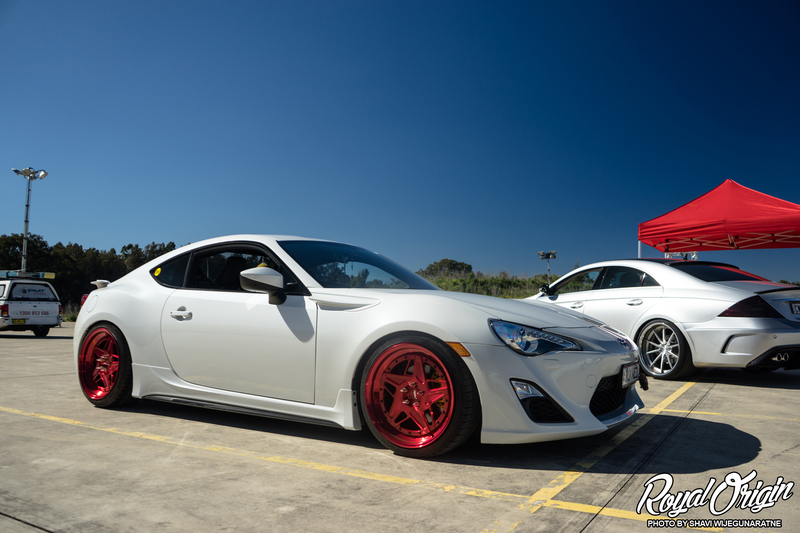 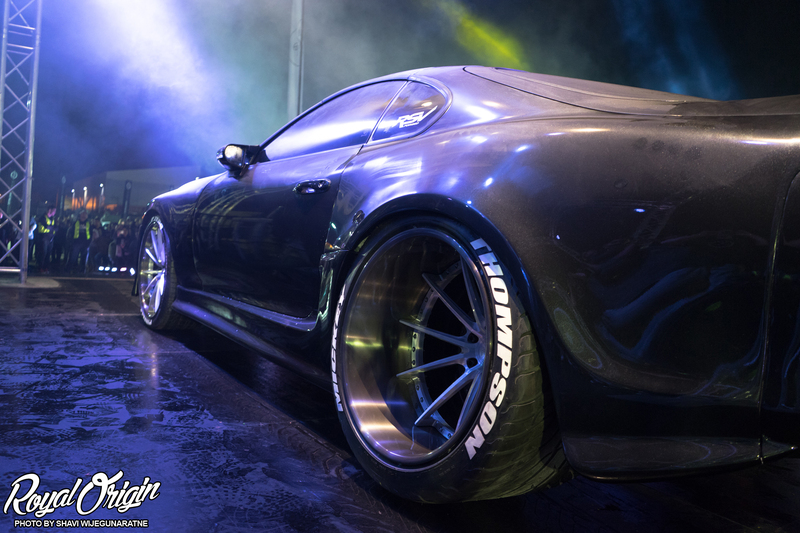 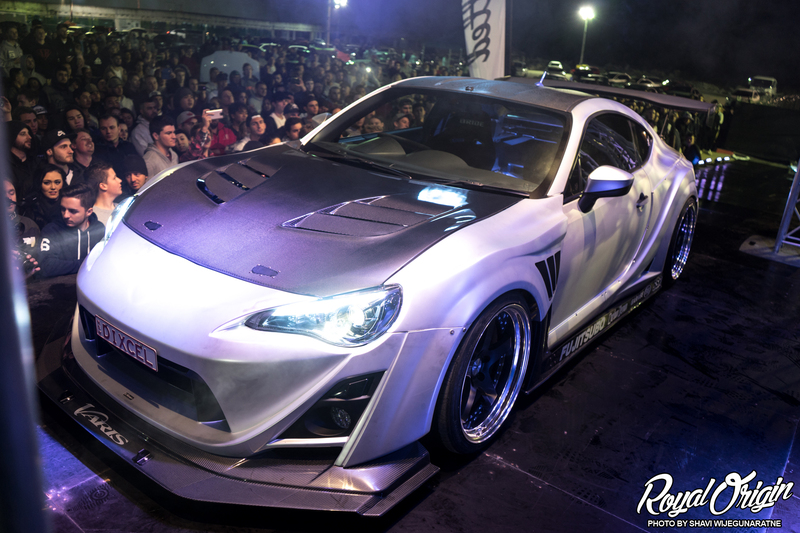 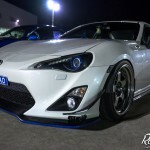 Matthew Morgan’s Built To Order x RSV Forged Australia Toyota 86 on RSV Forged Retro Centre R1. 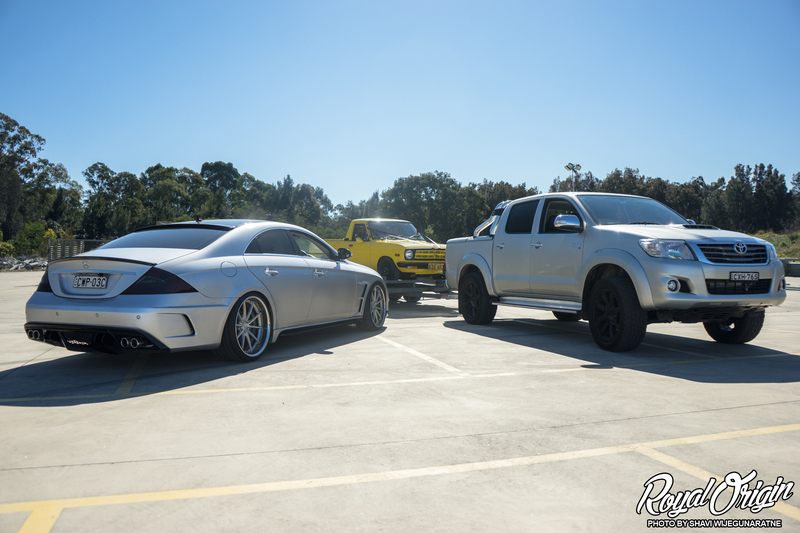 Just a preview of the variety. 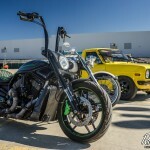 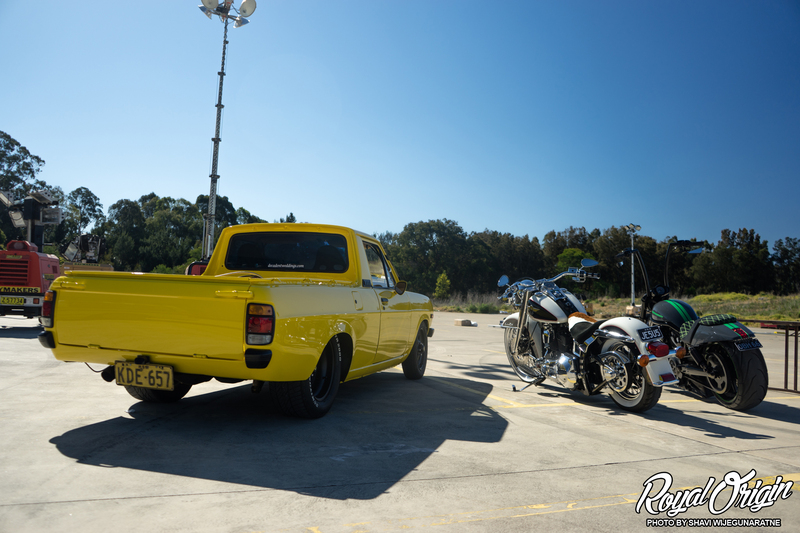 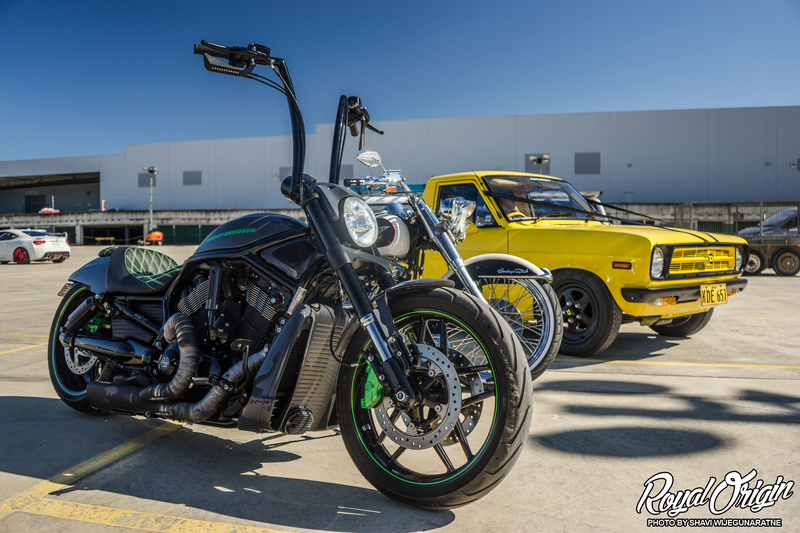 A lot of awesome trucks and bikes showed up. 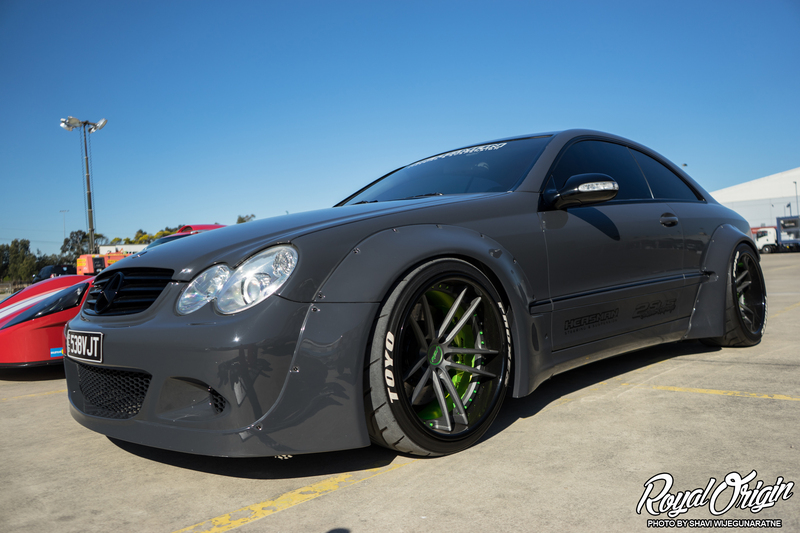 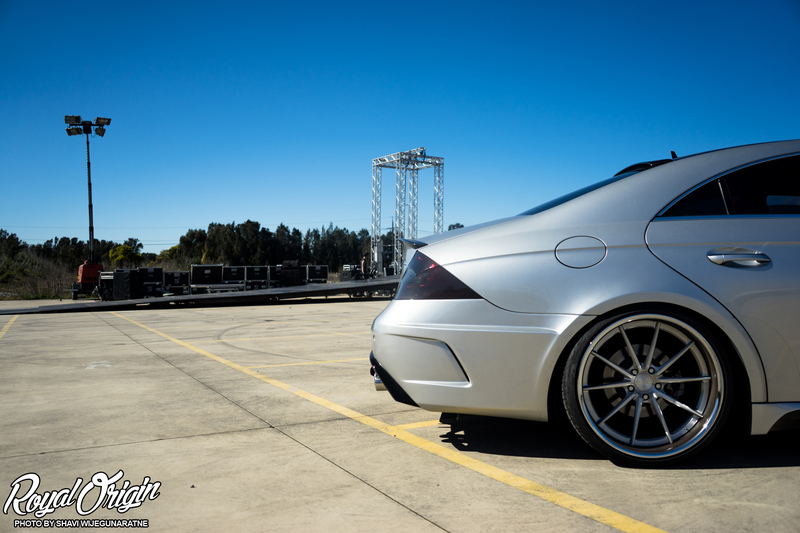 Heasman Steering Mercedes-Benz CLK55 AMG on RSV Forged RS5Y by Built To Order. 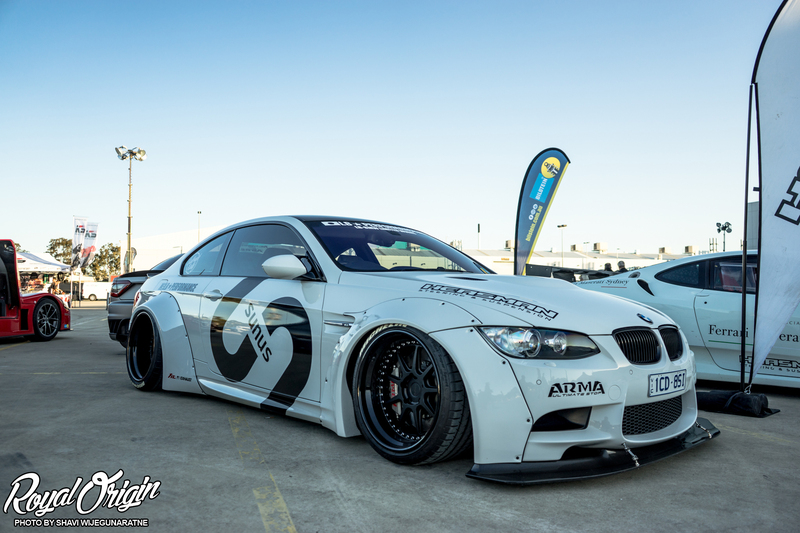 BMW E92 M3 on a Liberty Walk kit by Heasman Steering. 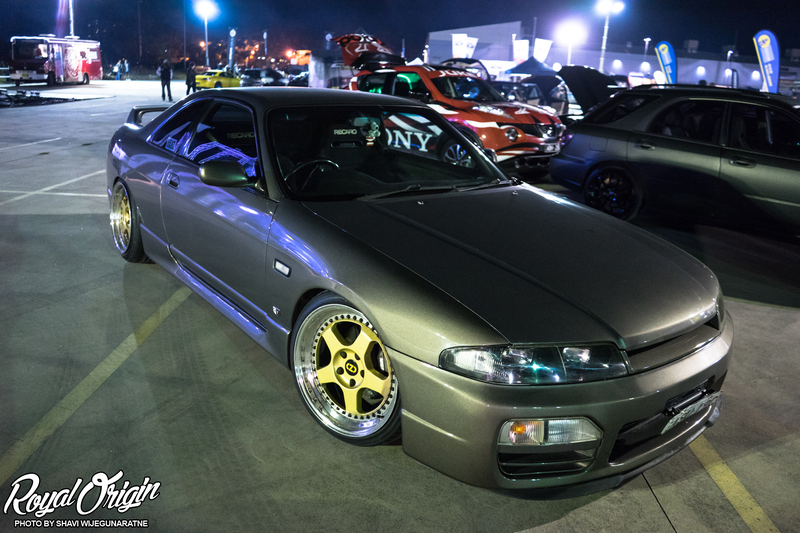 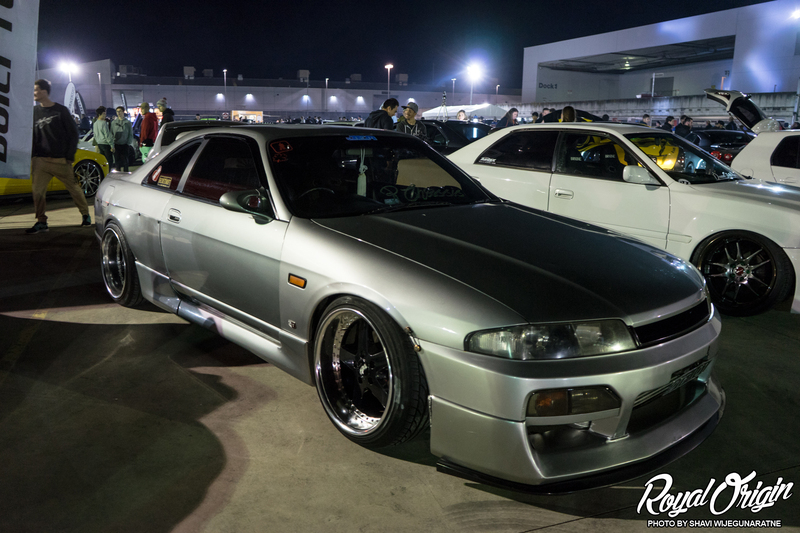 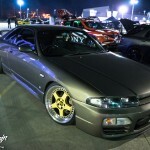 25 year import rule currently gets us the Nissan Skyline R32 in the US. 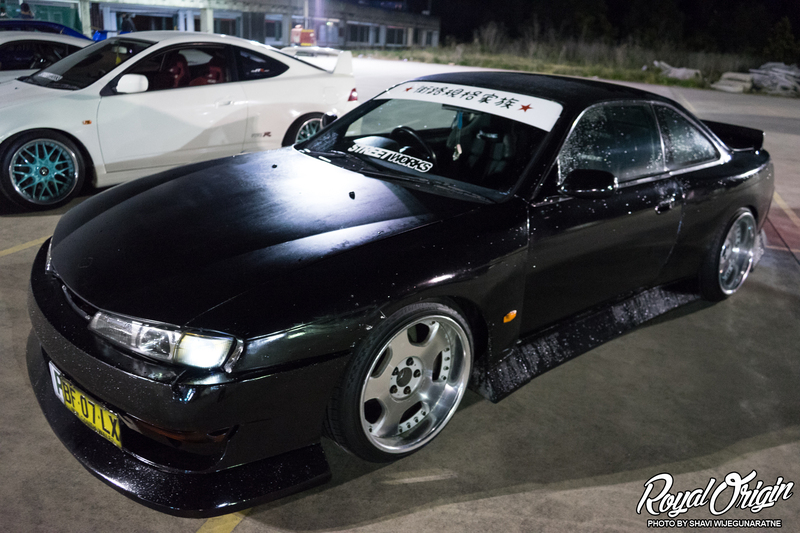 Something you really won’t see in the US. 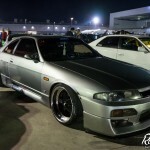 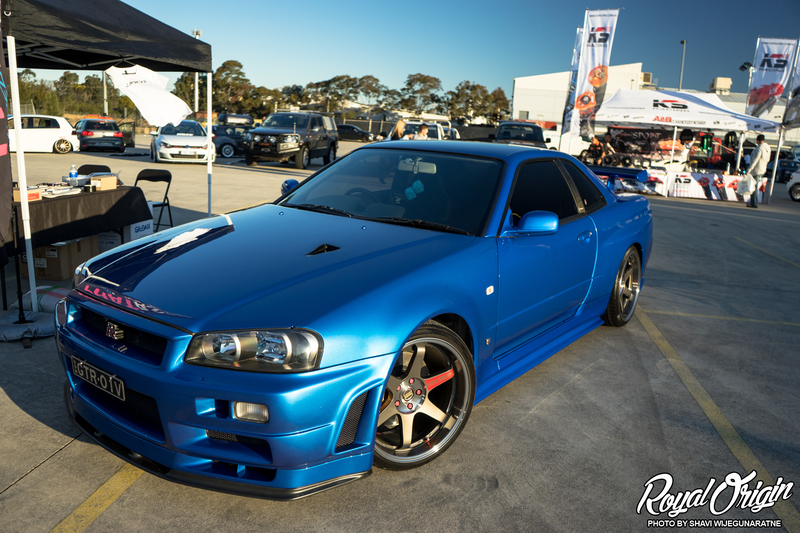 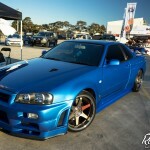 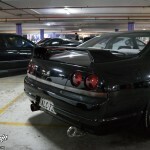 And here we have the Nissan Skyline R34 GTR. 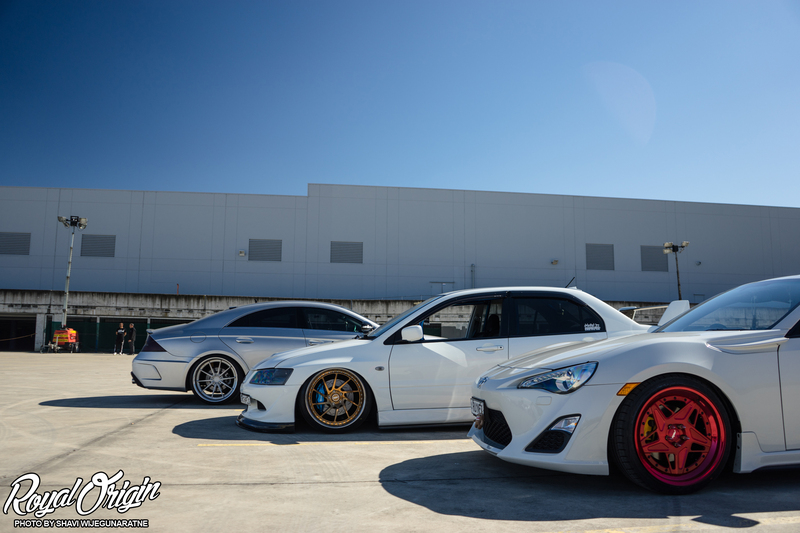 The ESTBLSHD crew from Melbourne, which is about a 9 hour drive from Sydney. 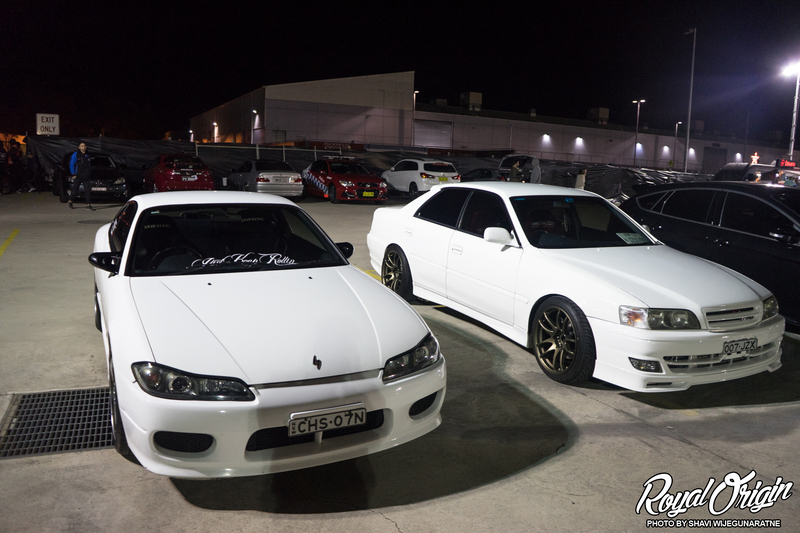 Good meeting you guys. 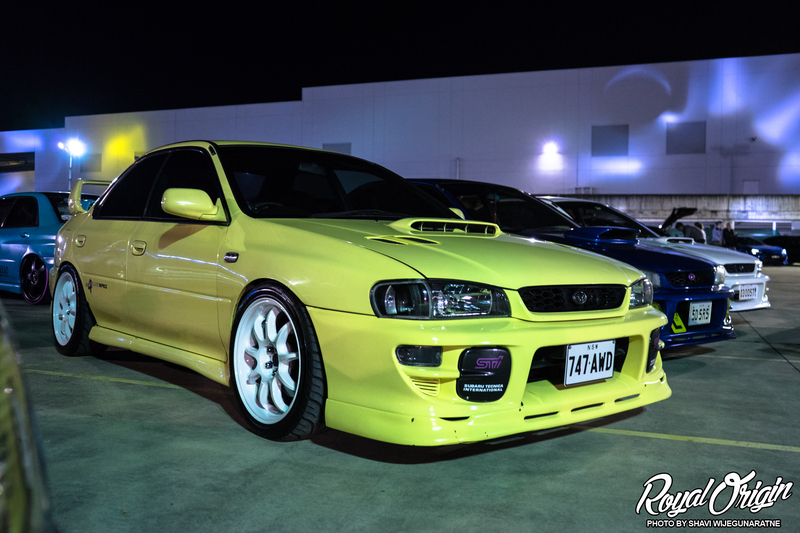 Australians definitely love their drag. 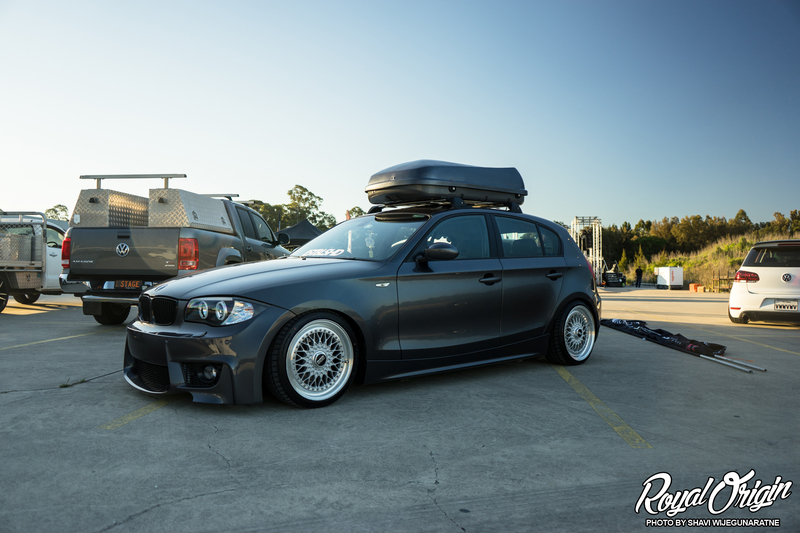 Bagged out on a block. 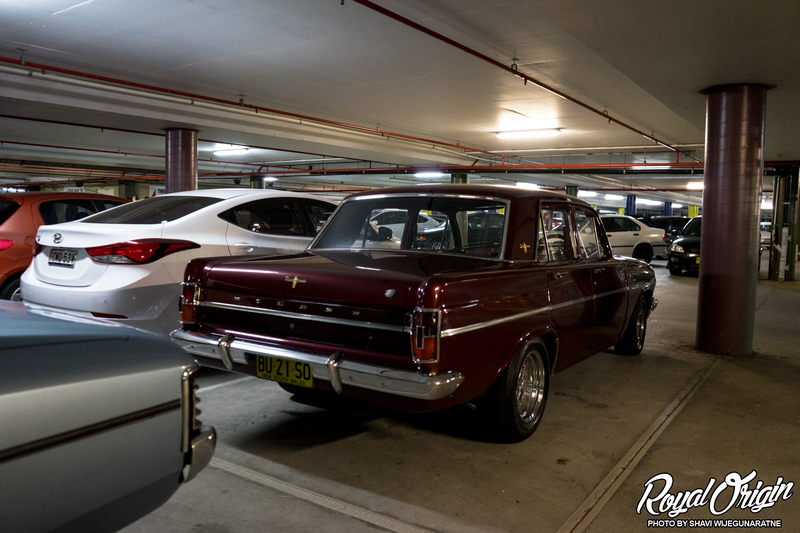 Love seeing these older rotary platforms. 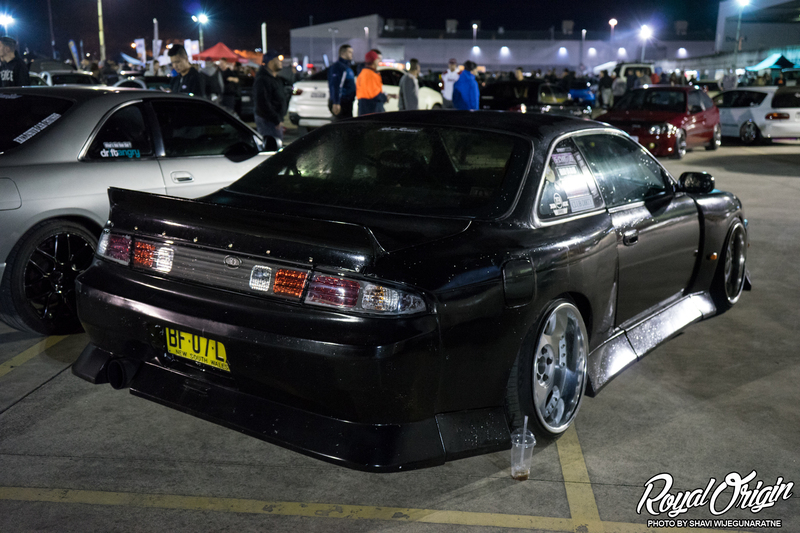 Even in Australia you can’t escape the rice. 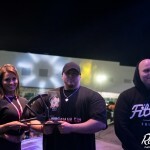 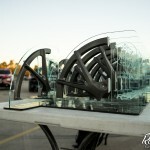 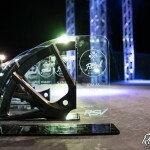 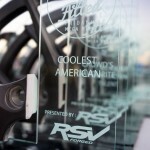 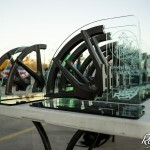 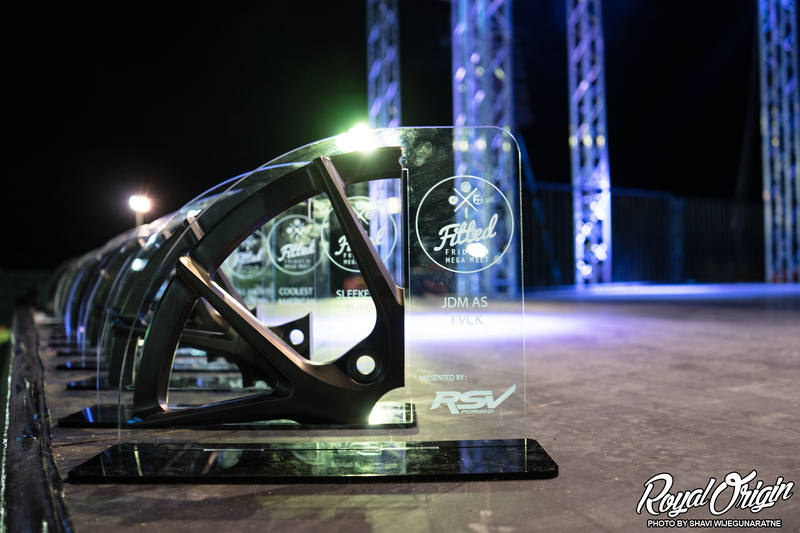 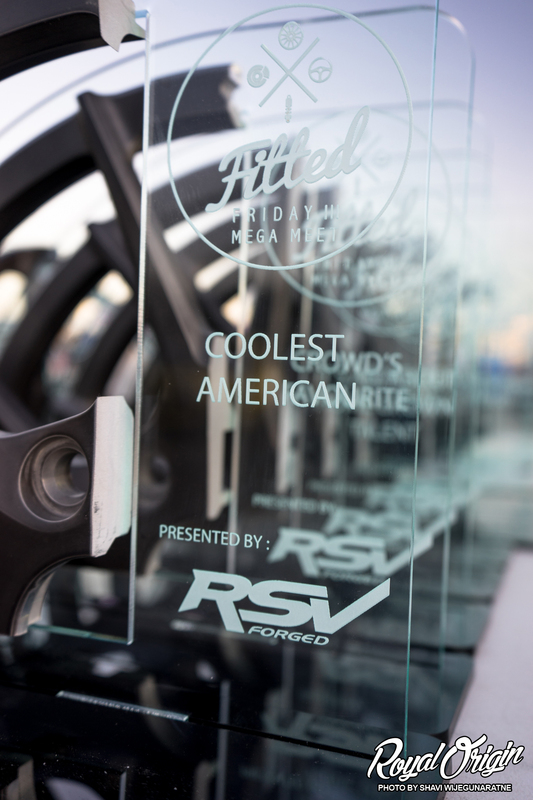 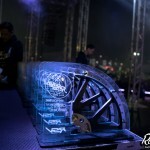 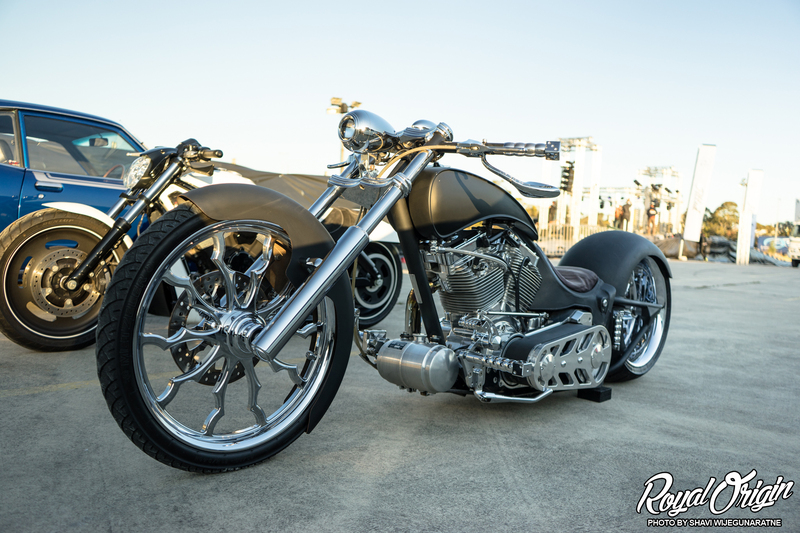 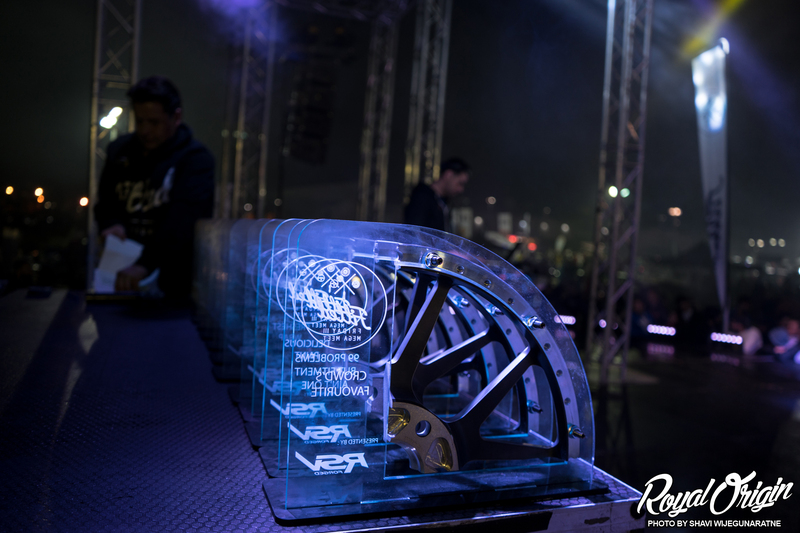 These are the custom trophies built by Built To Order x RSV Forged for Fitted Friday III. 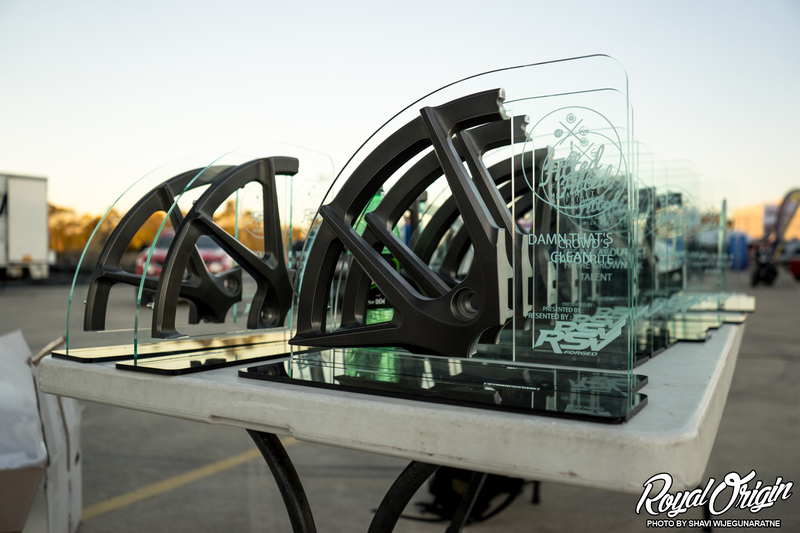 These needed to arrive before the meet, so I was commissioned to take the journey with them. 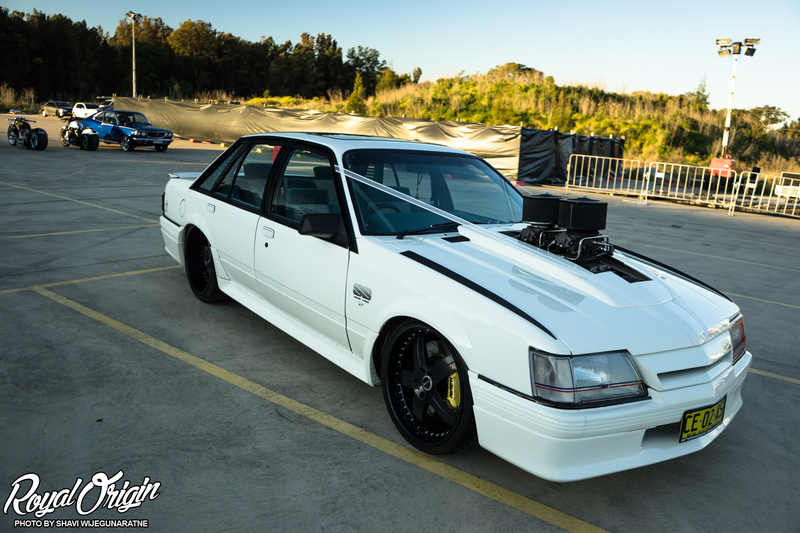 I guess its an Australian thing to put wedding ribbons on your car. 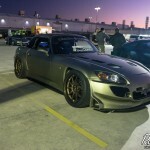 Saw other cars with them too. 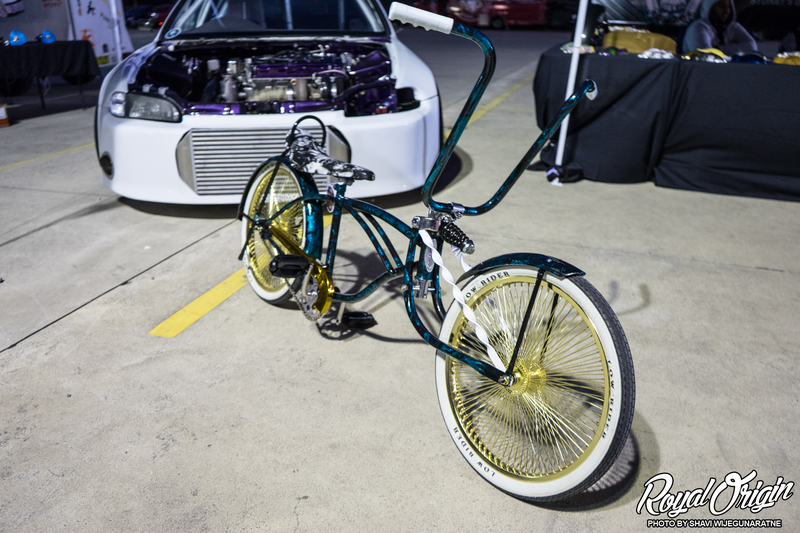 Some LA low rider flavor. 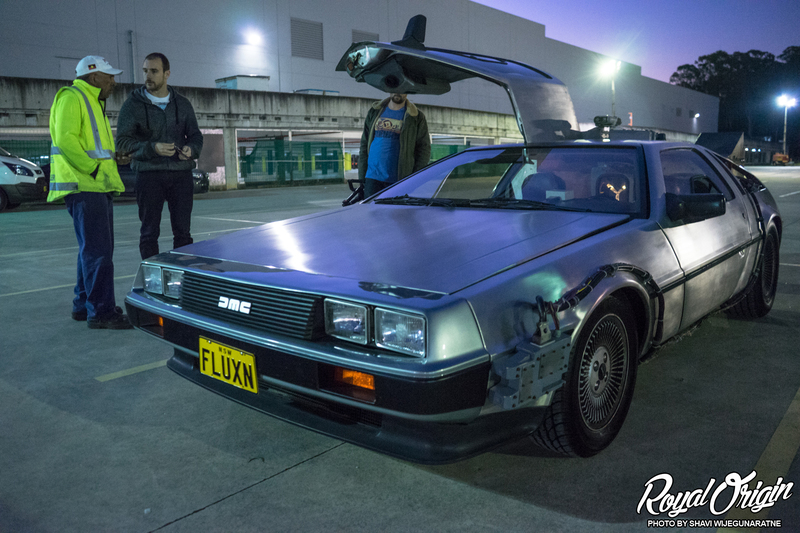 Back to the Future fans. 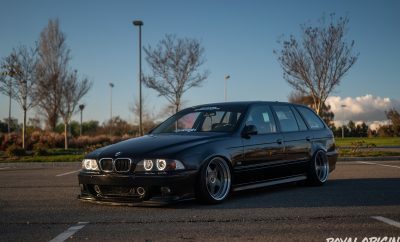 Another good car we do not have in America. 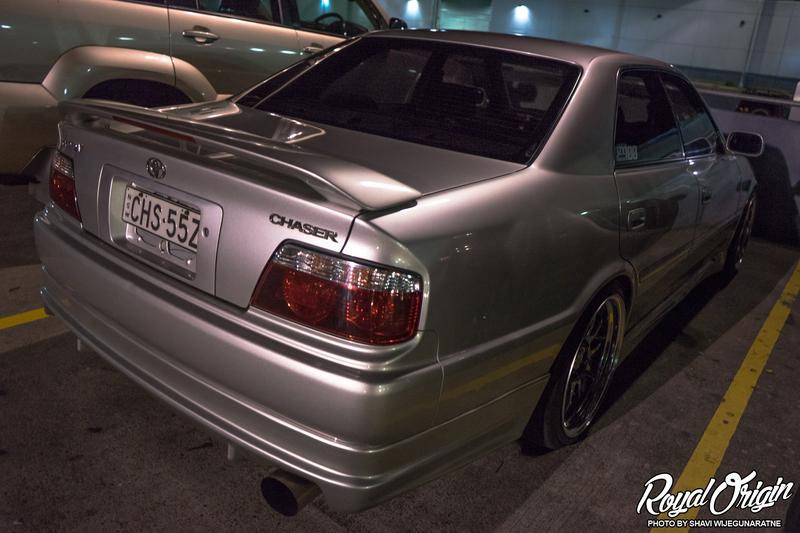 Toyota Chaser. 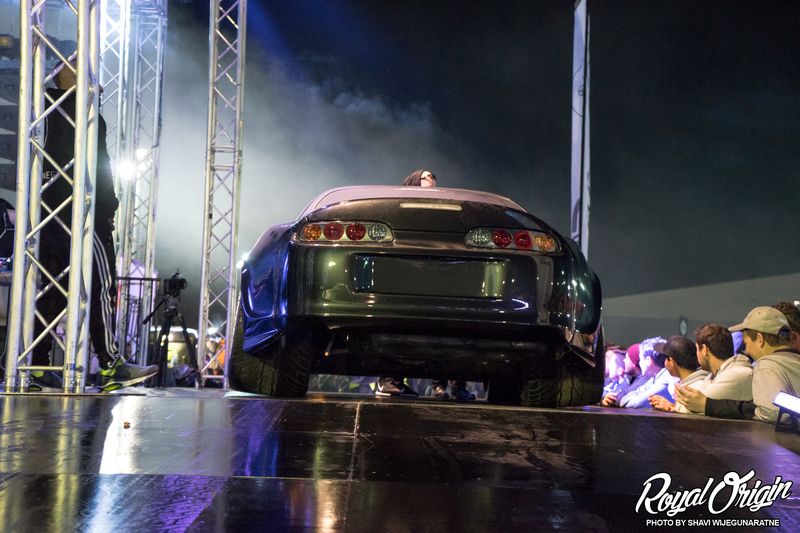 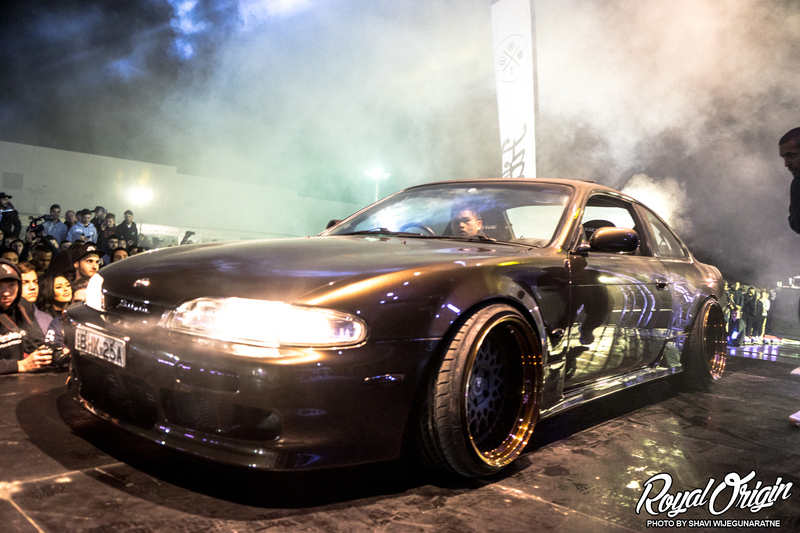 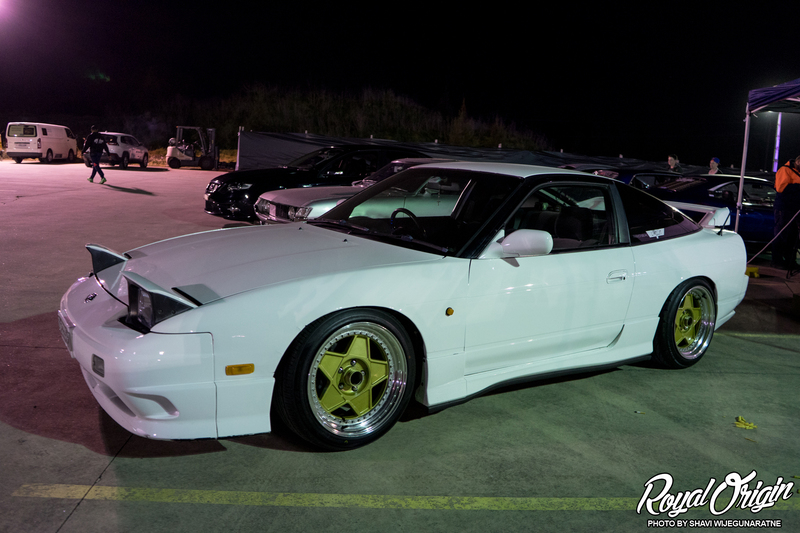 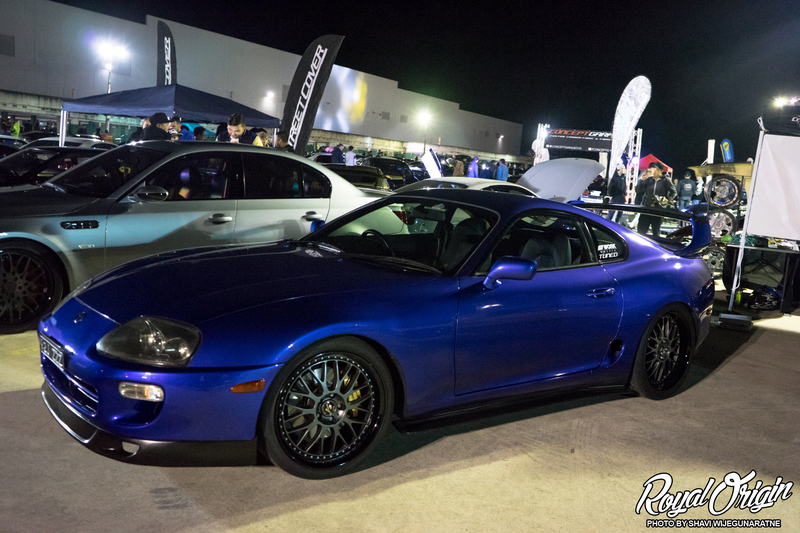 Its not a car meet without the Supra. 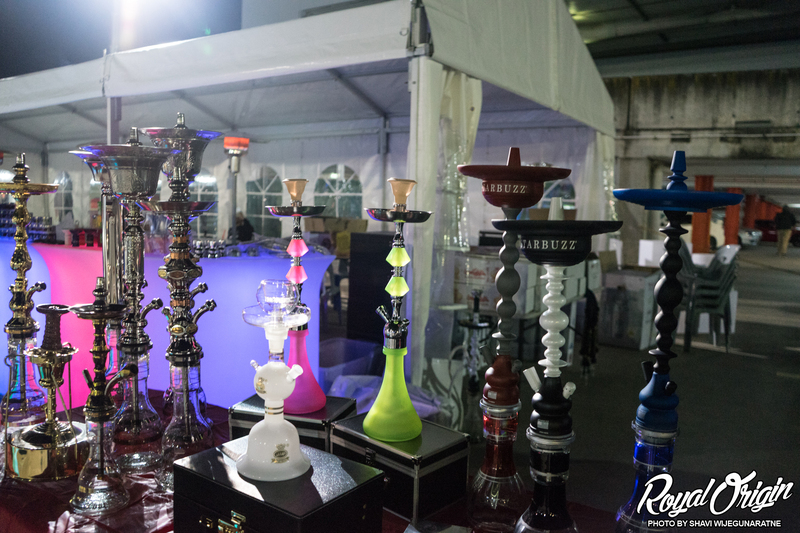 They had a hookah vendor, where you can enjoy a personal or group hookah while at the car meet. 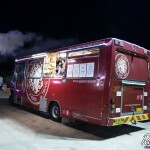 Food trucks were rolling in and setting up. 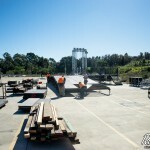 The stage is ready for the mega meet. 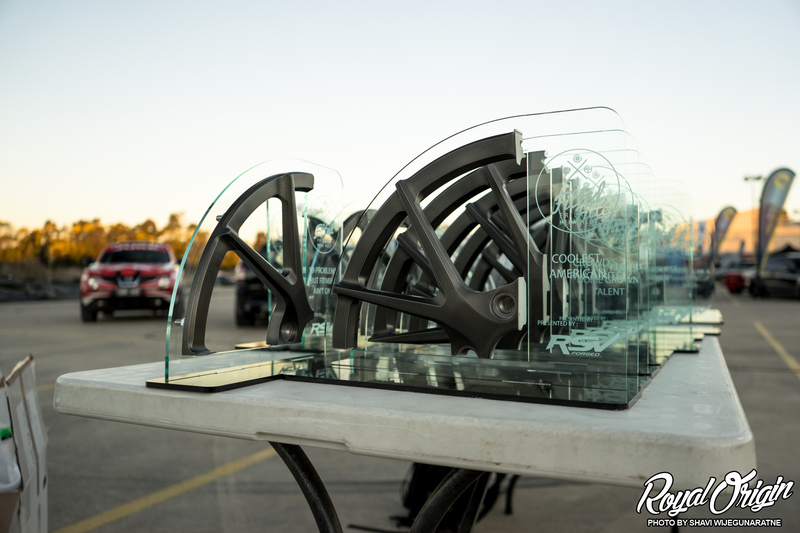 The trophies were ready to be given to 16 people. 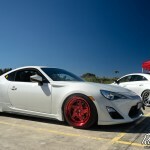 See plenty of these in the states, but here it is known as the Toyota 86. 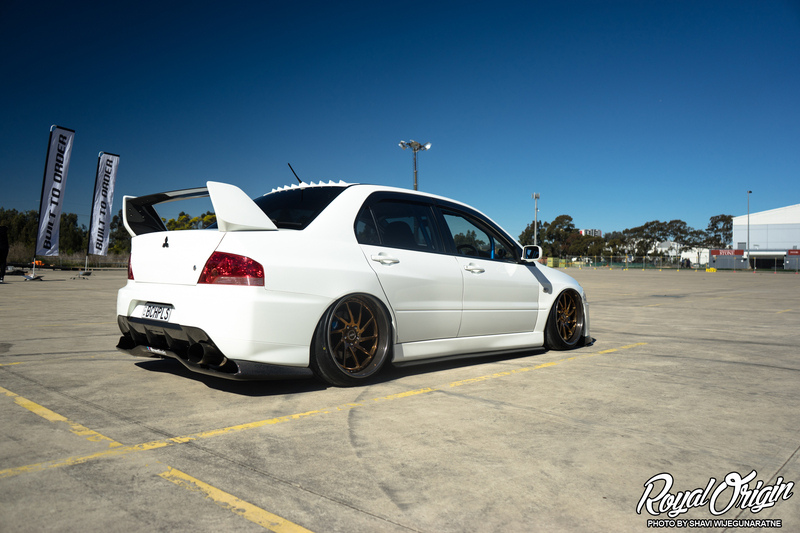 Clean, but too donk for my taste. 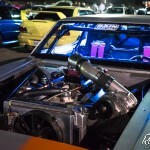 Very complete build. 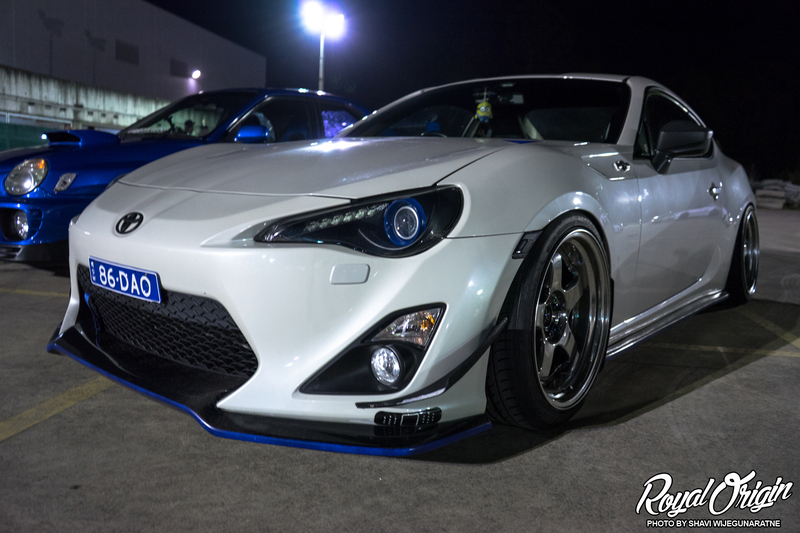 Love the sense of rawness it gives off. 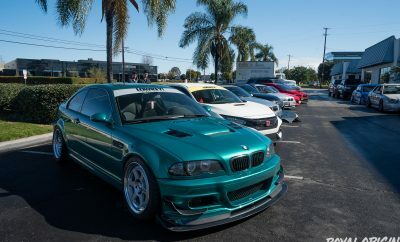 Seeing this felt like home. 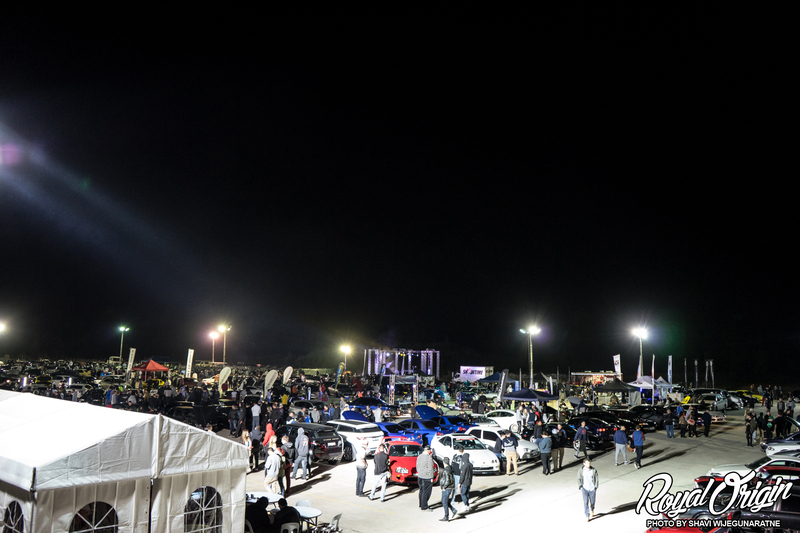 Plenty of people all around. 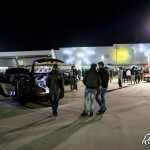 Even more people pouring n.
Inside the underground structure were even more cars. 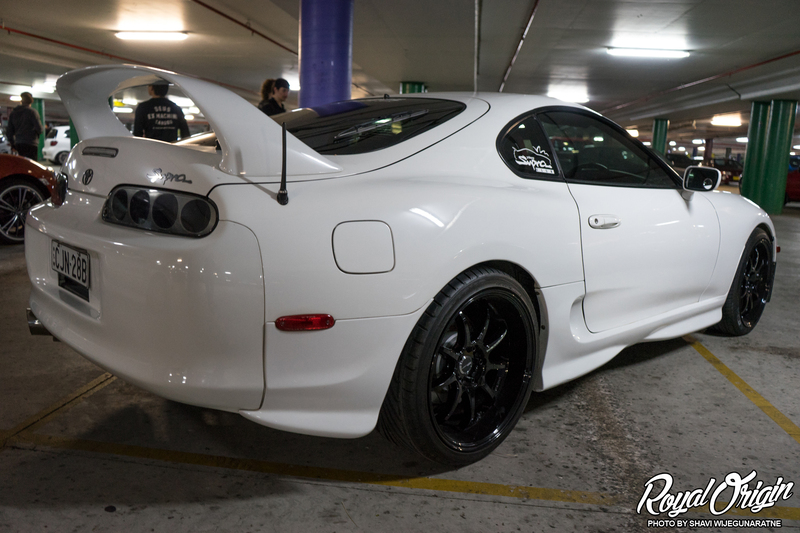 Seeing a simple clean Supra is nice. 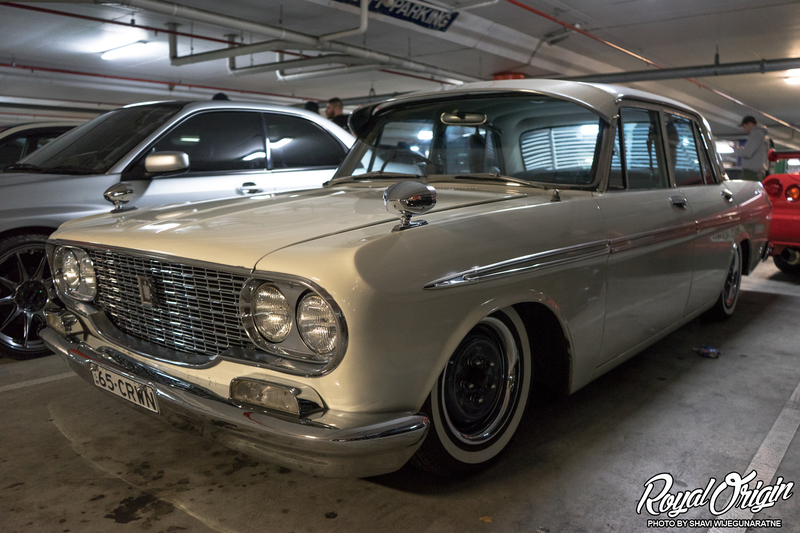 Classic Toyota Crown kept immaculate. 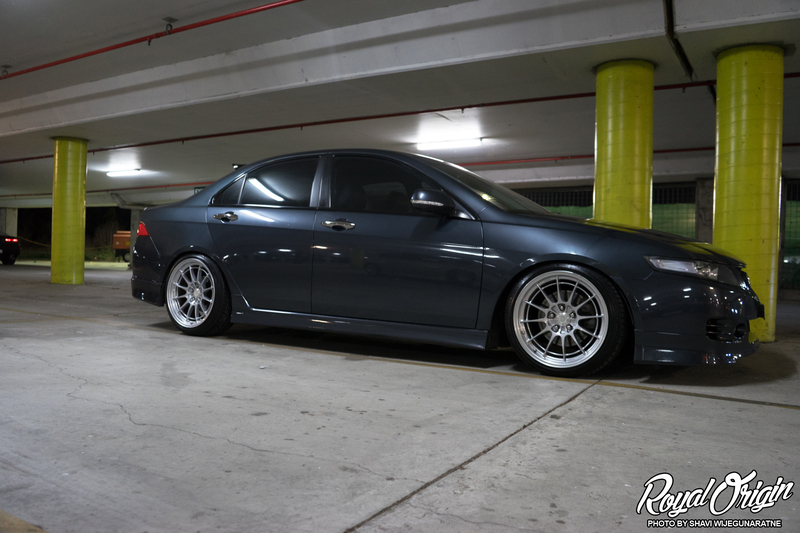 Stance House Honda Accord Euro. 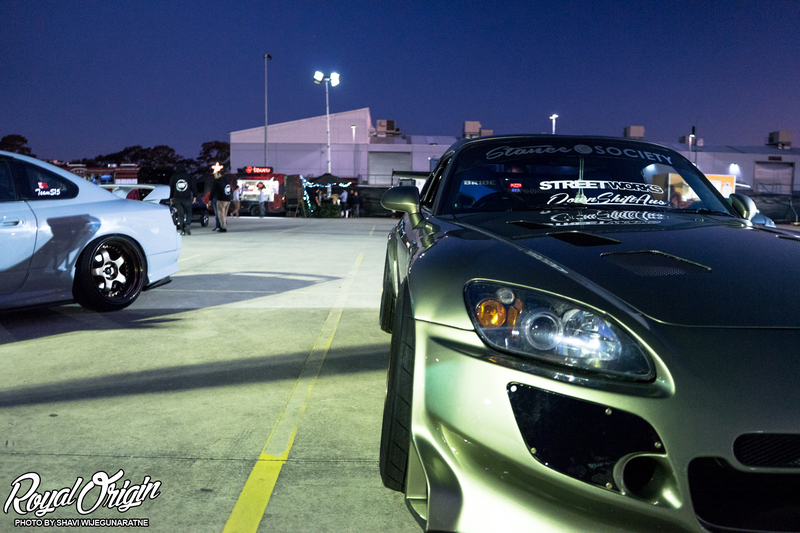 Great meeting you guys as well. 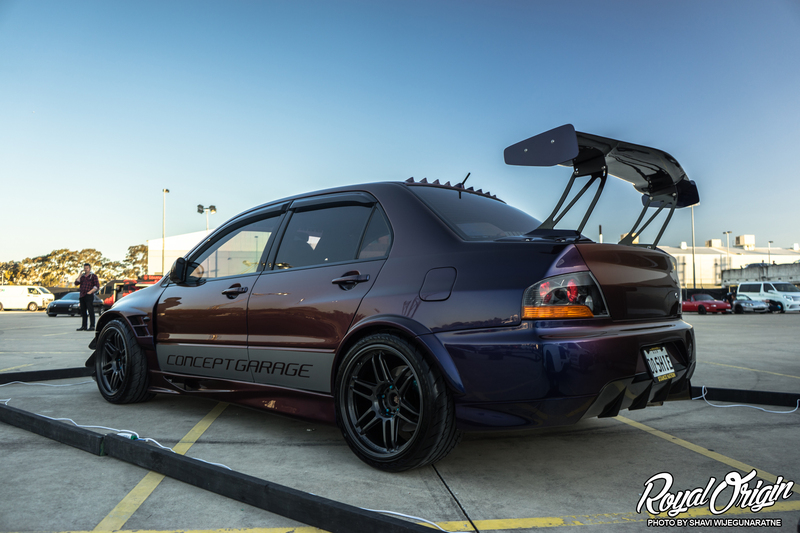 Leading into Fitted Friday III. 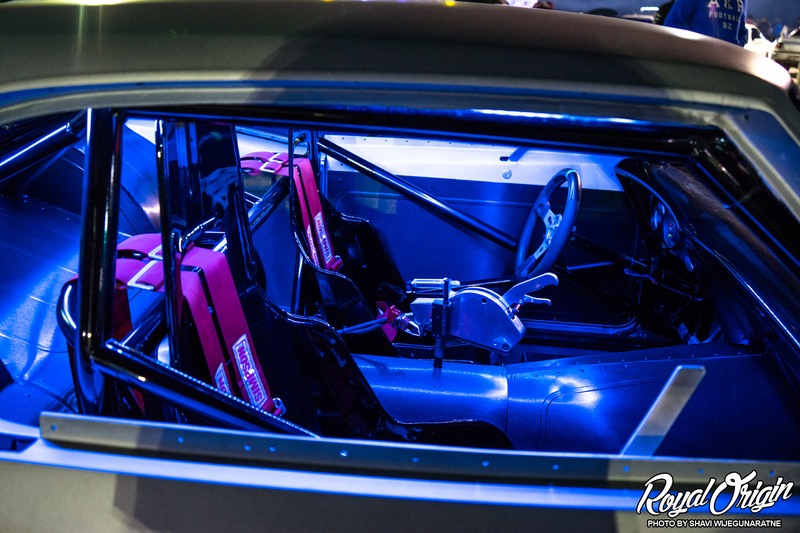 Overhead view. 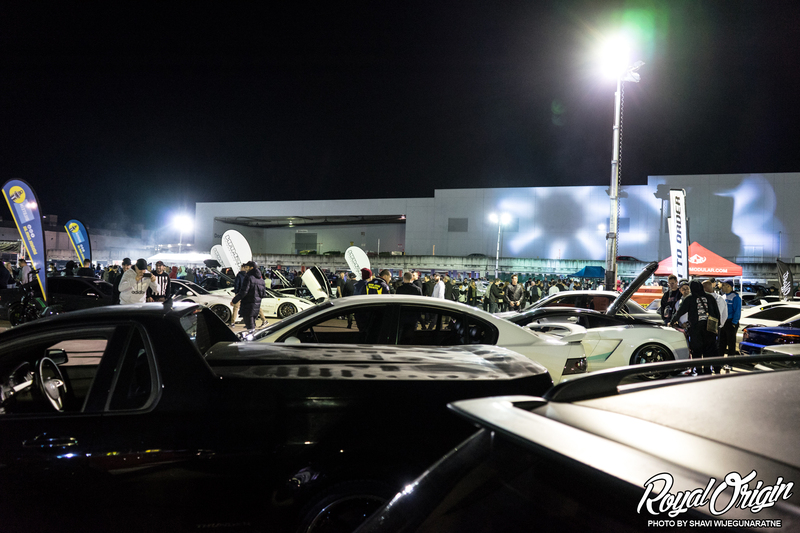 That is a lot of people. 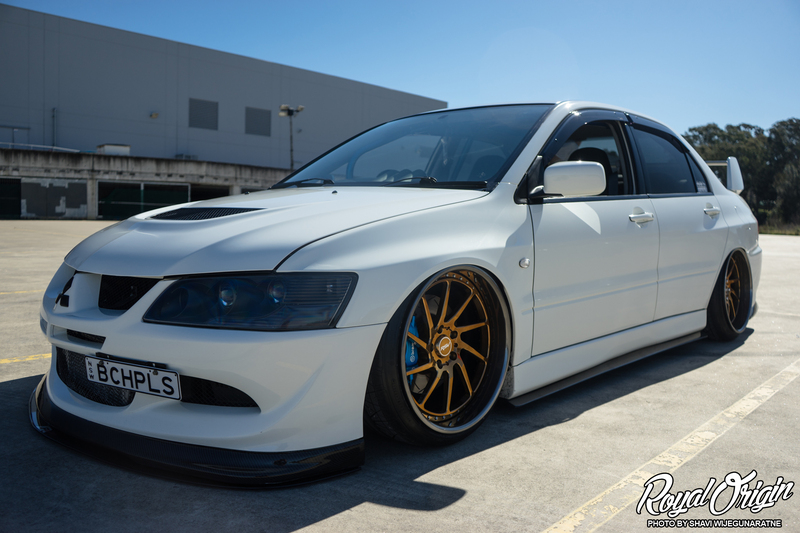 Gold plated everything. 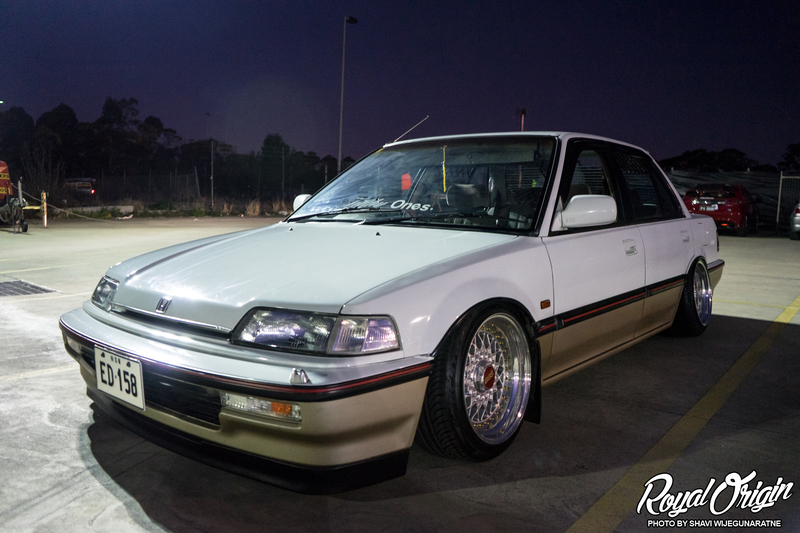 It works. 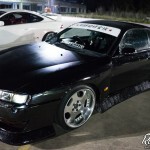 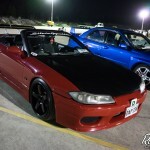 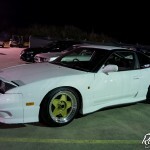 James’ Brown S14 on AG wheels 18 x 10.5 with 5 inch lip front and 18 x 11.5 with 6.5 inch rear lip. 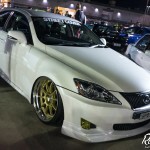 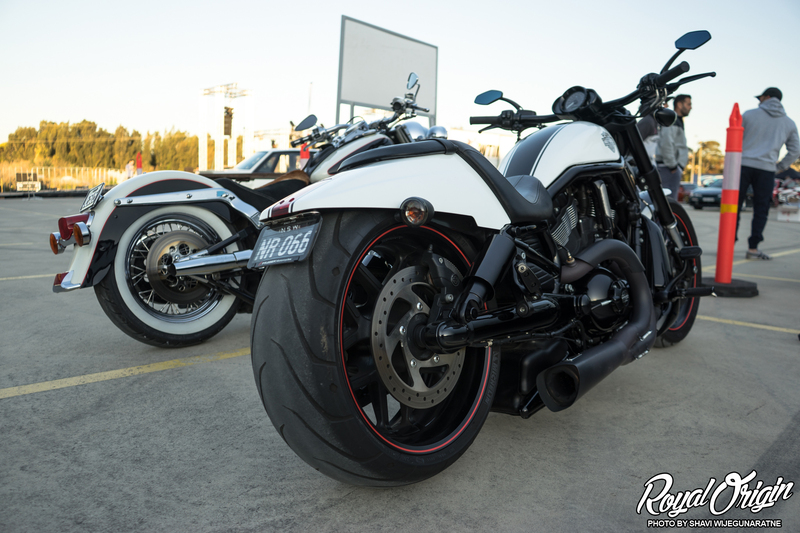 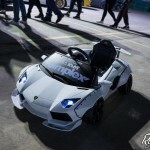 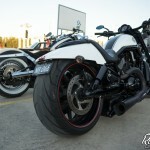 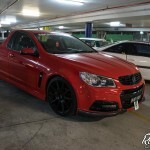 Accomplished by Australia’s premium outlet for custom wheels and crazy fitment, Built To Order. 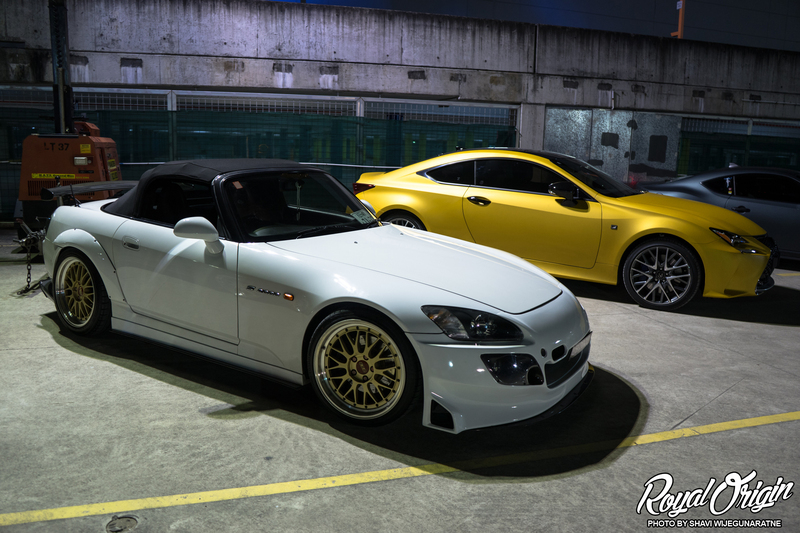 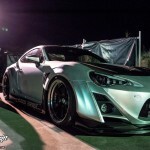 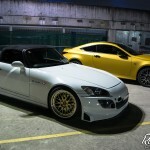 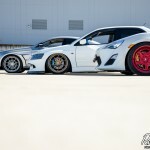 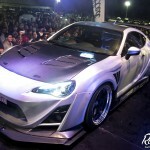 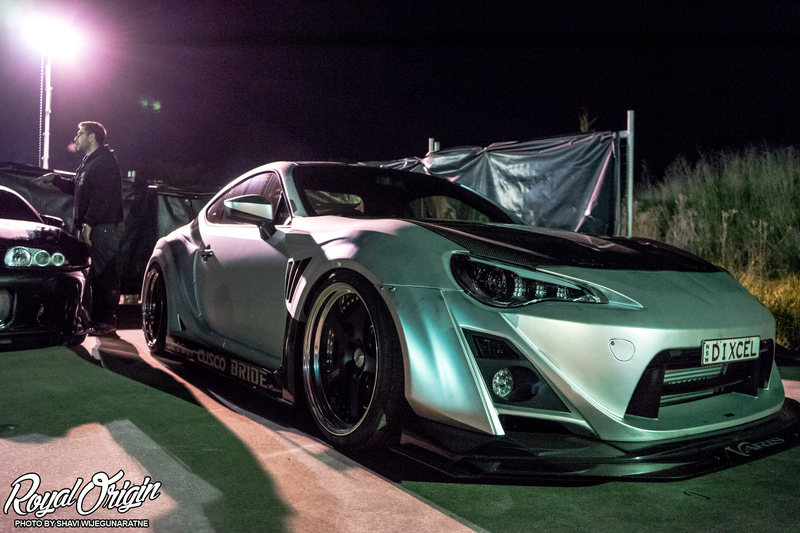 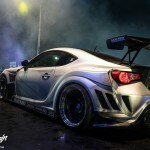 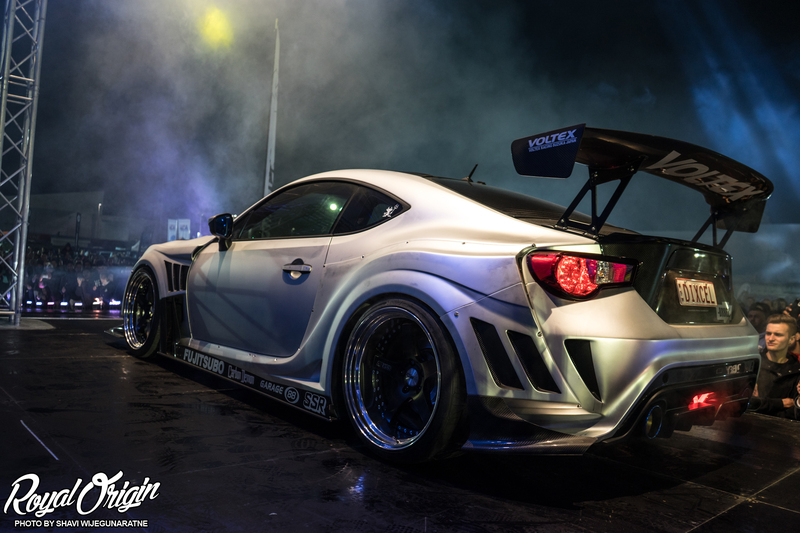 Garage 88 x Micheal May’s Varis widebody Toyota 86 on SSR Professors. 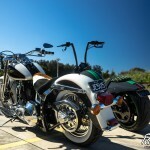 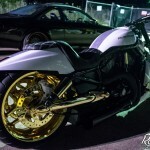 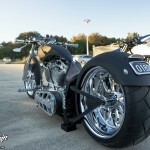 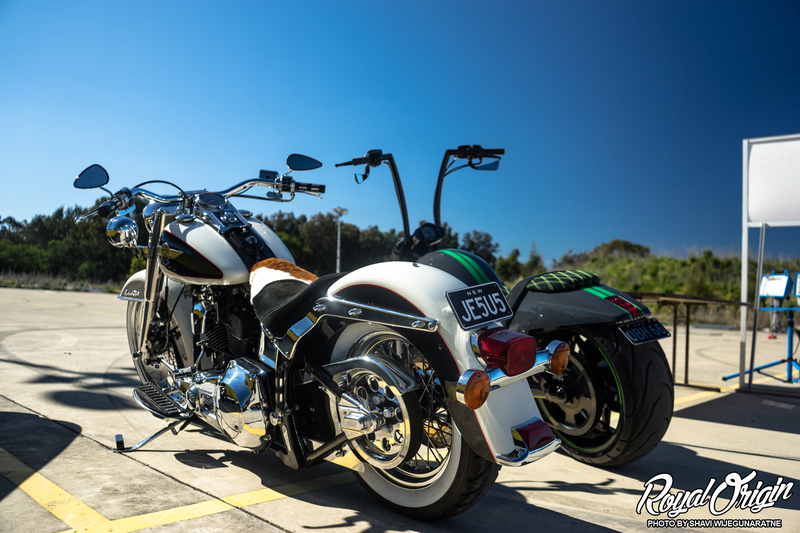 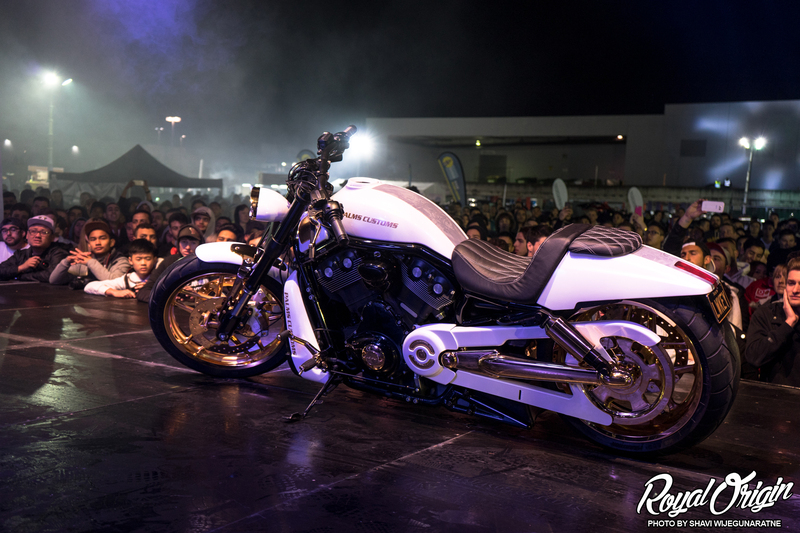 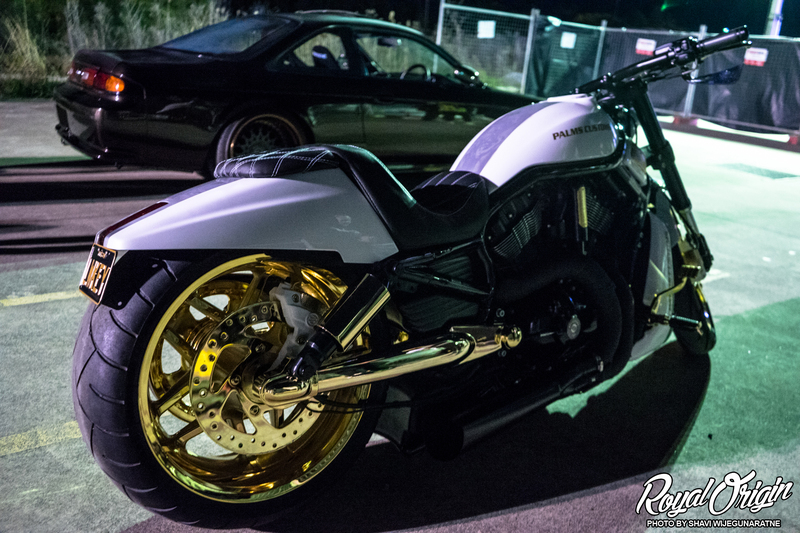 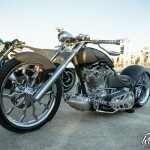 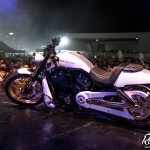 Palms Customs 24kt gold plated bike with custom airbrushing, and pin striping. 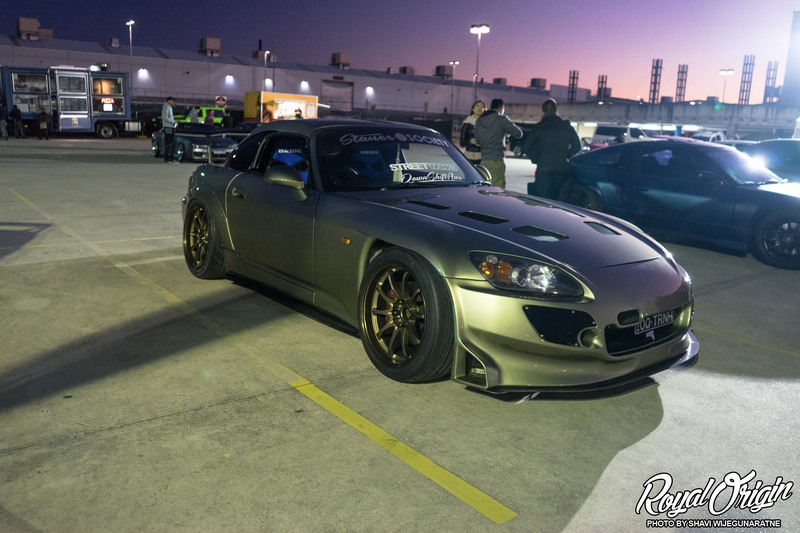 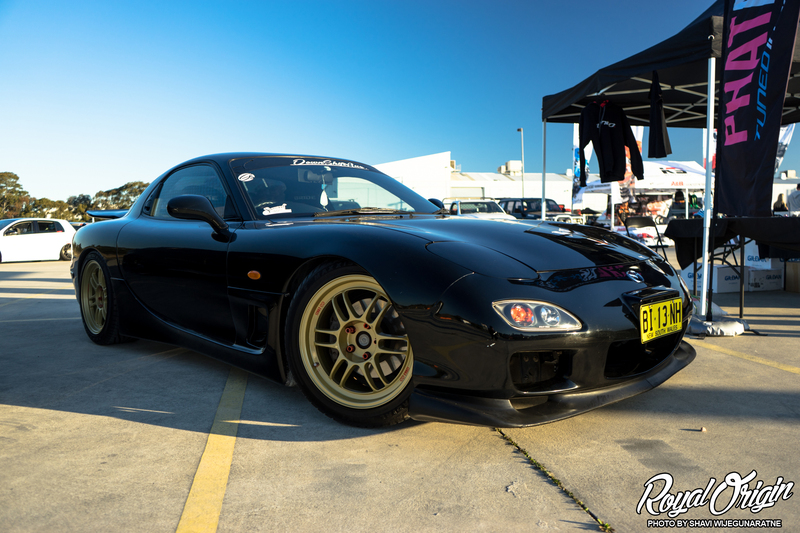 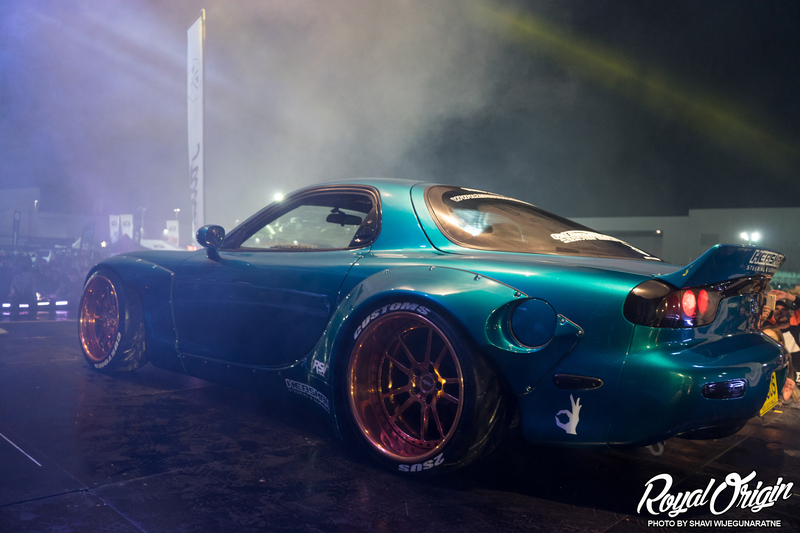 Rocket Bunny FD3S RX-7. 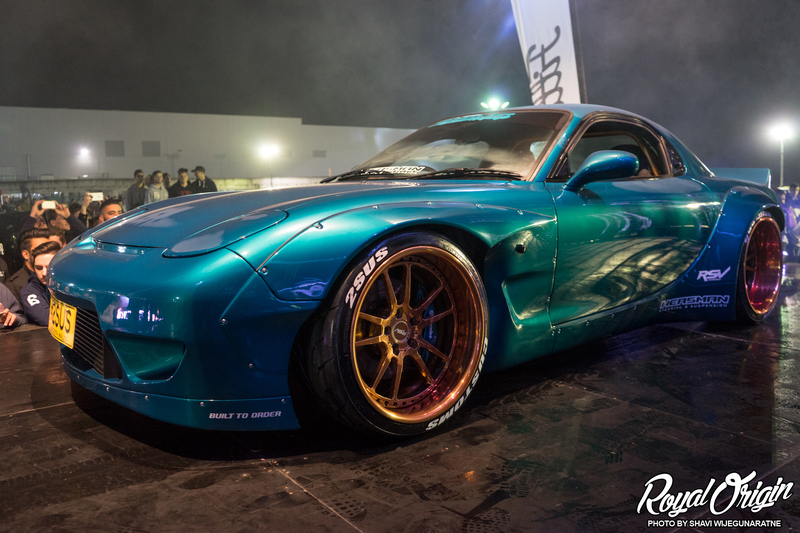 Painted by 2 Sus Custom Resprays, Built To Order supplied RSV Sport Line RS5Y wheels kit series and Rocket Bunny kit, and Heasman Steering for all suspension work and brakes. 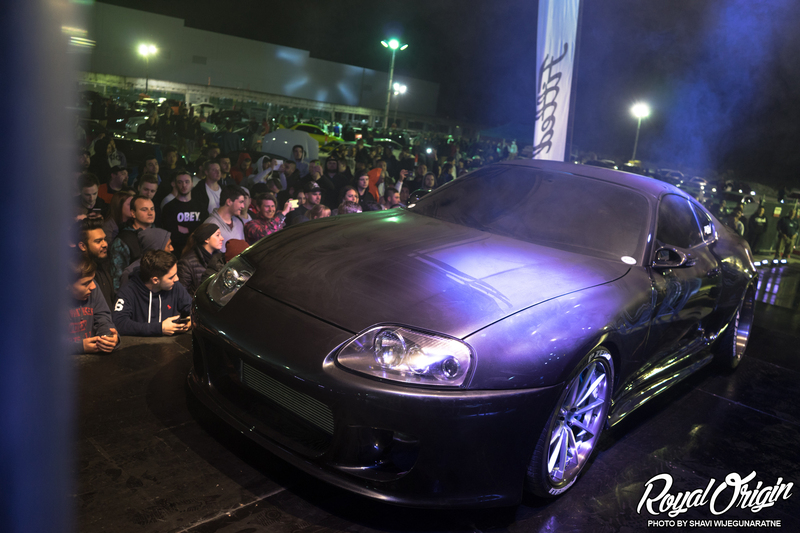 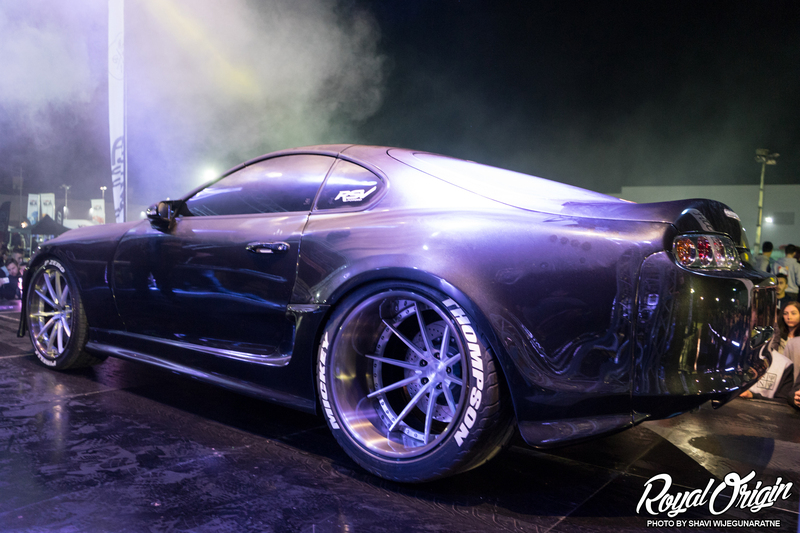 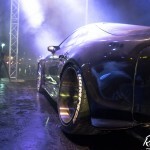 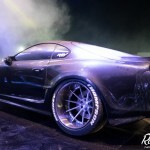 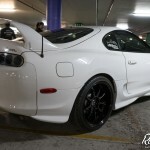 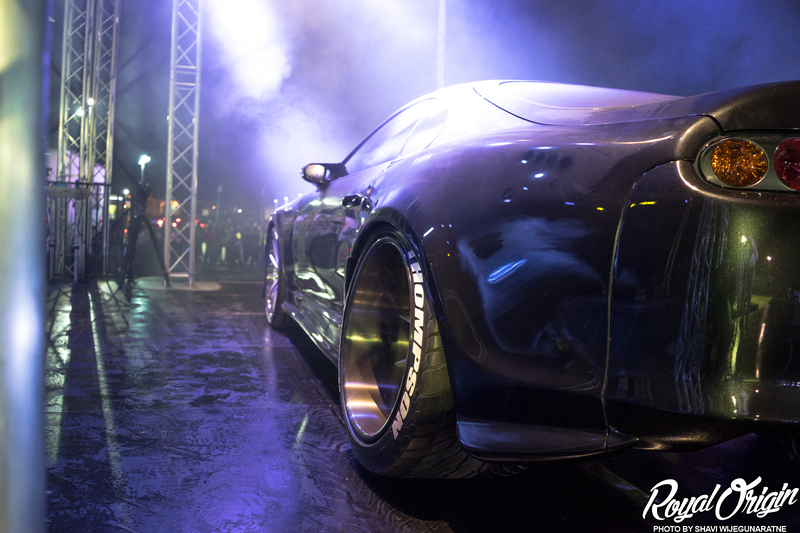 Killer Customs Toyota Supra on Built To Order RSV Forged RS10. 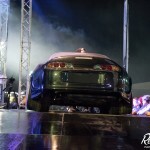 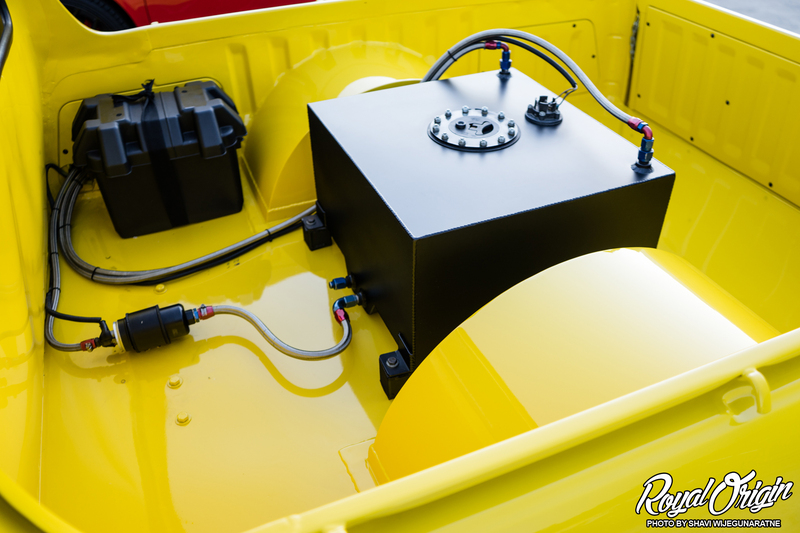 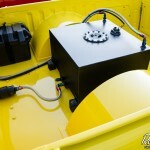 That is 20×16 -101 in the rear. The lucky winners are below with guest New Zealand judge Carl Thompson. 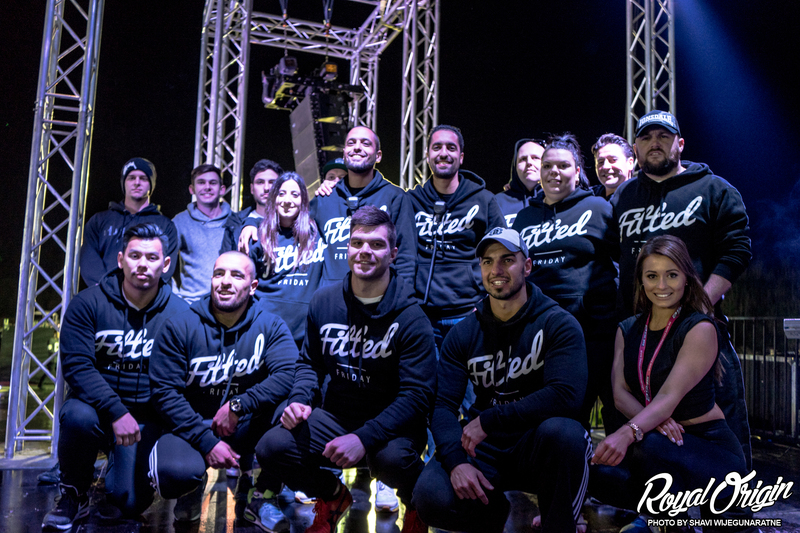 The Fitted Friday staff. 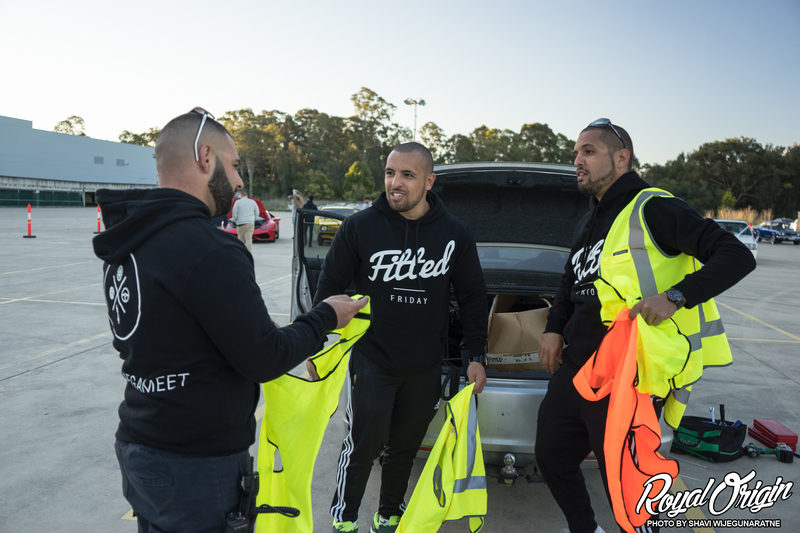 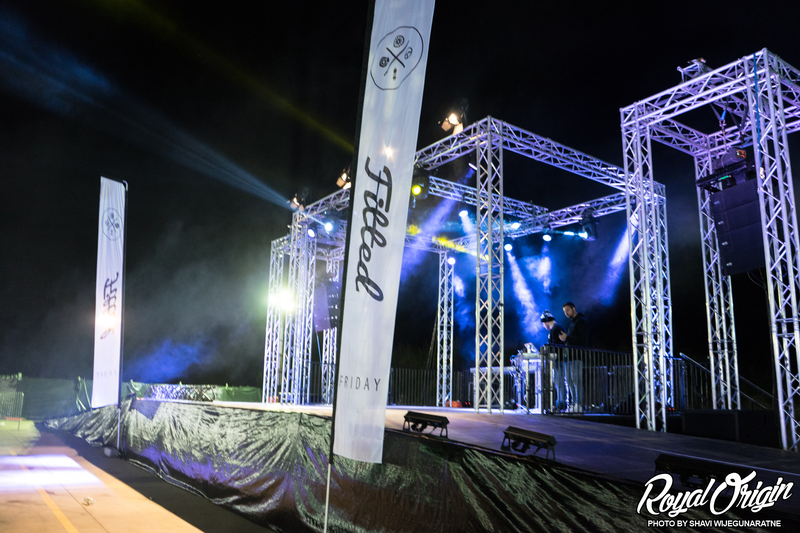 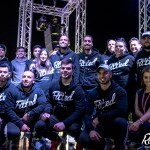 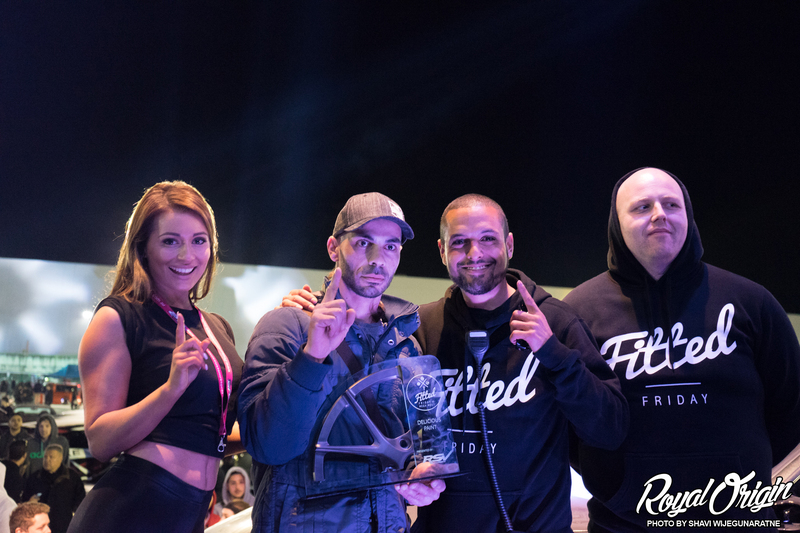 I am impressed by Tarik at Built To Order for putting such an experience for the Australian community, and everyone that helped make Fitted Friday III happen. 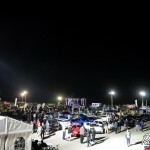 These are the type of events that should be created to share automotive passion with each other. 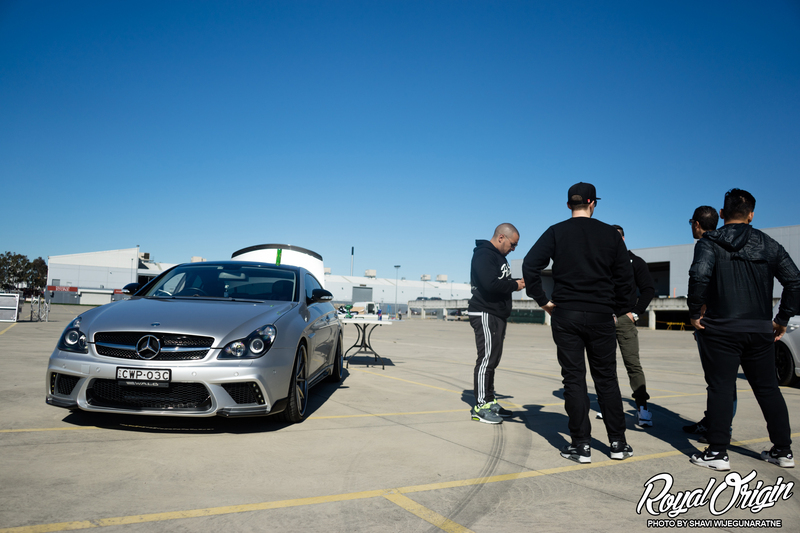 Check back to see what happened on my other days in Sydney, Australia.